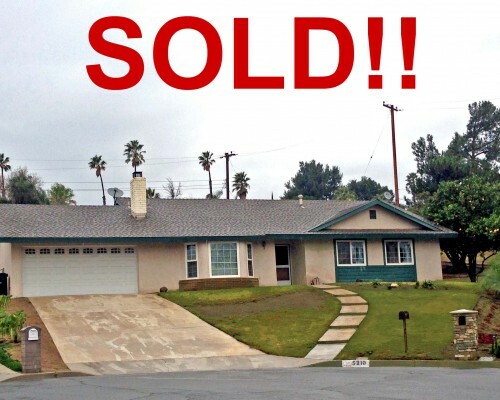 My team has been recognized as the #1 real estate team in Jurupa Valley for both number of homes sold, and total dollar volume, for three years running. 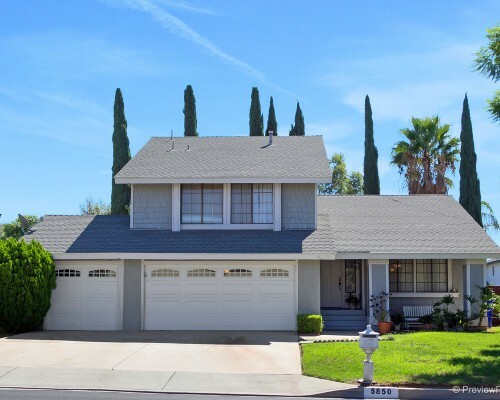 With over 25 years of experience servicing our neighbors in the Riverside and Jurupa Valley area, we know what it takes to get the job done, here. A focus on technology and advanced level internet marketing, as well as fierce negotiating skills are what sets us apart from the competition. We place a premium on service, but ultimately we best service our clients by being masters in our industry, and aggressively working toward our clients’ goals, whatever they may be. Whether that is a record breaking price on their home sale, or a well negotiated discount on their purchase. We are extremely results driven, when it comes to our clients. We don’t reach our goals, until our clients reach theirs. Where to begin!... We recently enlisted the expertise of Graham and the Home Team and the work they have put into selling our property is Above and Beyond! Within the 1st day of calling them about questions on selling our property we had a date & time scheduled to meet up and take photos of our place and discuss in detail our options. 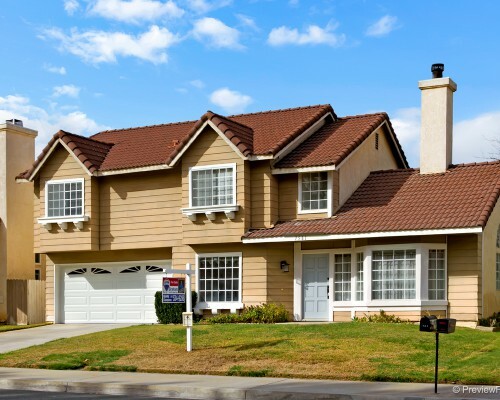 By the time the listing went active on the MLS they had developed an entire website dedicated to our property and posted on many other listing services. In no time we were receiving numerous calls about the property and had our 1st full price cash offer, before Graham could even present the offer to us, we had a 2nd one come in! With the prompt actions of the team and detailed marketing we were able to review two full priced offers before a week had even passed. Graham really took the time to walk my wife and I through the entire process right from the beginning and Kelly is a dream to work with - Love her ideas! Exceptional Service! 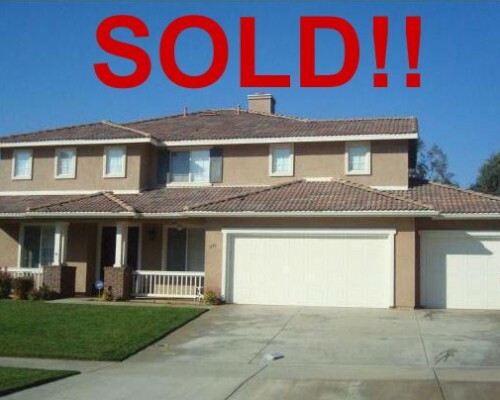 Graham and Kelly were amazing to work with in the selling of our old home and the buying of our new home. They are beyond knowledgeable in the industry and work very hard to get the work done when needed. They take out the stressful process of buying and selling a home and make it exciting for the homeowner. I would highly recommend Graham and The Home Team for any of your real Estate needs. We met Graham at an Open House in our old neighborhood. We liked him immediately and we asked him to be our realtor. He found us a great home to buy that fit our needs perfectly. Then, when we moved out-of-state, we looked to him once again to help us sell our home; which sold with our asking price in about two weeks. He is honest, trustworthy, knowledgeable and works hard for his clients. He follows through and gives great advice to help sell your house or as a buyer. I have recommended him to others and to anyone looking for a realtor in that area. He's your guy! 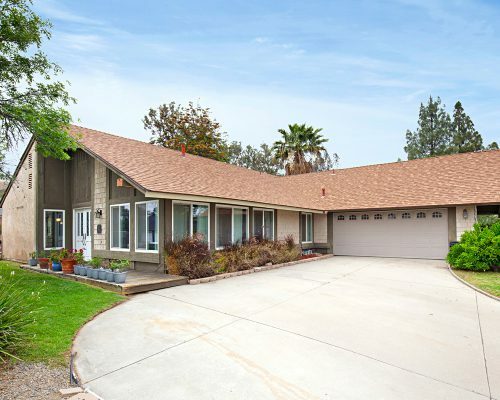 If you’ve been dreaming of living in Indian Hills’ coveted California Ridge neighborhood, here is your chance to do it right… with a spectacular floor plan that is as impressive, as it is functional! Entertaining is easy when you have a formal living room and separate dining room, at the ready, to tackle your most elegant affairs. The spacious kitchen has been tastefully updated & is perfect for complex culinary escapades or an impromptu, Sunday morning pancake session. Host a game night –big or small– in the over-sized family room… or simply stoke up the fireplace and relax with good company. Upstairs an airy Master Suite (with private balcony & en-suite bathroom), as well as three sizable guest bedrooms await. Out-back is all elbow-room! Feel like hosting the annual family BBQ… and having enough space for a healthy (yet competitive) game of lawn darts? No problem! So realize your dream, and grab hold of California Ridge… before someone else gets here first. Perched high, at the top of Indian Hills’ coveted California Ridge neighborhood, this exquisite home offers a true retreat from the hustle and bustle of the everyday world. Expertly manicured grounds lead to an impressive, floor plan– quality being the theme, throughout. Natural lighting effortlessly highlights the spacious living and family rooms, and brilliantly accentuates the designer materials. Feel like entertaining? Do it with style! Exotic granites, warm woods, and stainless steel are sure to impress. Upstairs, sizable secondary bedrooms flank an expansive master suite– complete with private balcony… the perfect vantage point for unrivaled views, on demand. Out-back, a secluded oasis awaits. Fragrant citrus trees, relaxing koi pond and serene backdrops– the perfect setting for memories to be made or leisure to be embraced… but only if you hurry. Grab hold of one of the greatest floor plans, largest lots & best locations that The Greens at Indian Hills has to offer! This home is bright and open, from the moment you step through the door! A spacious Living Room (with vaulted ceilings) and separate family room (with stylish fireplace) provides you with ample space for entertaining- holiday gatherings, surprise birthday parties, game nights… No problem! While you’re at it, impress your guests with the elegantly remodeled kitchen- striking granite counter tops, gorgeous cabinetry and stainless steel appliances are at the ready… cooking skills are optional. Upstairs, a marvelous master suite with spacious retreat offers options- your very own library, home-gym, office, nursery, 4th bedroom… you decide! Looking for a little R & R? Head out back and take advantage of one of the largest lots, overlooking the pond and 9th Fairway of the Indian Hills Golf Course! Hurry before someone else scores this hole-in-one! 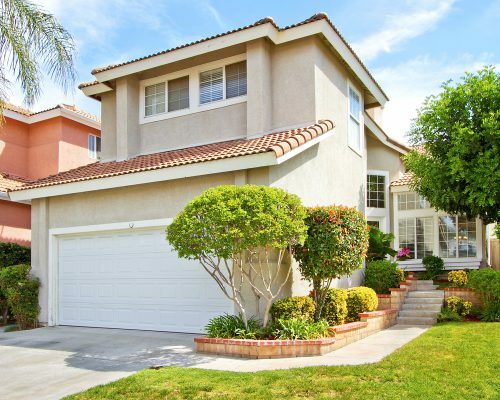 For more information about this home, or to schedule a tour- call Graham Levine at 951.534.9296. Tucked into a quiet street, just steps away from the Indian Hills Golf Course, this exquisite home is everything you have been searching for! Beautiful, water-wise landscaping greets you from the get-go- Conservation never looked so good! Inside, the bright and open floor plan flows brilliantly- effortlessly highlighted by the vaulted ceilings and natural light dancing through the new, dual-paned windows. The stylish kitchen has been enhanced with exotic, slab granite counter tops, premium cabinetry and custom lighting. A spacious living AND separate family room offer options for entertaining, while a formal dining room is also at the ready for any occasion. Upstairs, sizeable secondary bedrooms, are flanked by a roomy master suite- complete with en-suite bathroom, walk-in closet and private balcony. Did we mention the lush, back yard- perfect for lounging, playing, BBQing? The boat/RV parking? 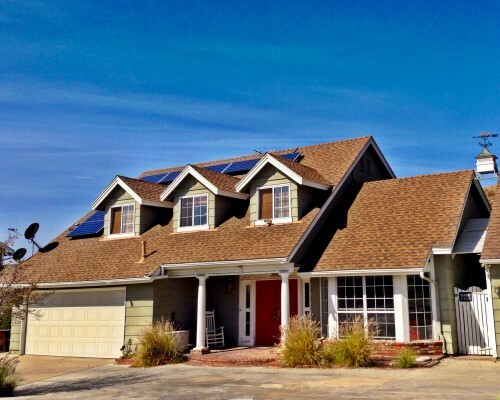 Or the fact the house has a top-tier solar system that off-sets 100% of the power? I guess we just did. So hurry- before someone else discovers this amazing home first! If you’ve been tirelessly searching for your dream home, to no avail, in a market devoid of quality inventory… your efforts have just paid off! 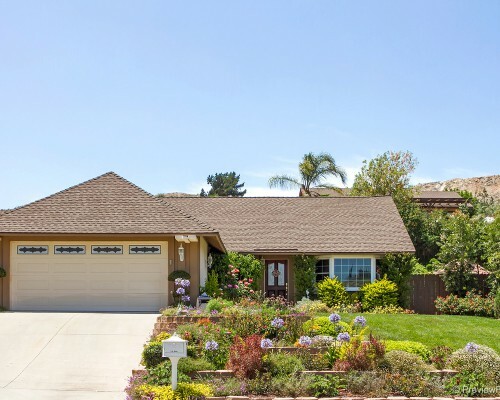 Here is a rare chance to own a stunning example of one of Indian Hills’ most sought-after floor plans … at the top of a quiet and highly coveted cul-de-sac location! Elegance radiates from within this home, and grabs hold of you at first sight. Natural light dances through the big, picture windows – illuminating the designer accents, throughout. A sunken, formal living room and adjacent dining room are ready to tackle your most formal affairs. The upgraded chef’s kitchen, with exotic, slab granite counter tops and over-sized prep island, is as versatile as it is impressive. Whip up an intimate dinner for two, “iron chef it” with your friends or establish a weekend pancake tradition… and with the informal dining area and adjoining family room, there is plenty of space for all! Upstairs, an airy loft awaits – perfect for reading, game room, yoga studio – you decide. Don’t forget about the bright and open Master Suite – with its en-suite bathroom and private balcony! Out back, there is plenty of elbow room for summer-time antics… and an enormous, covered patio to accommodate you and your guests, for the rest of the year. 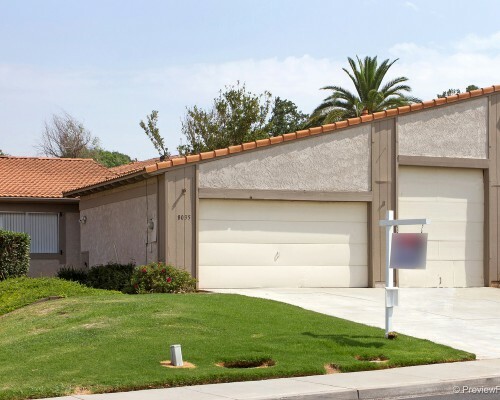 So hurry and grab hold of this one – before someone else notices the 3-car garage! 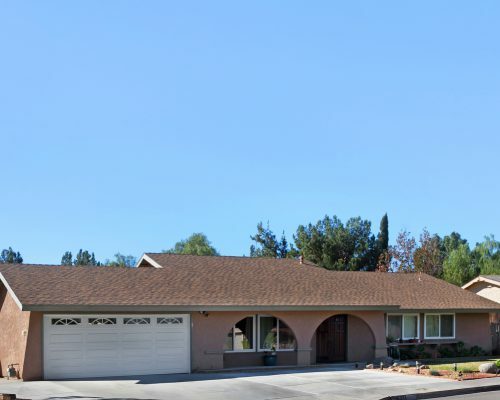 If you’ve been dreaming of living in Indian Hills’ coveted California Ridge neighborhood, here is your chance! This highly sought-after floor plan is the largest in the neighborhood- making it an all-time favorite, right from the start! The separate Living AND Family Rooms are spacious and functional- so no one ever misses out on the ambiance or good times. The eat-in kitchen is bright, with over-sized windows and a sliding door to the backyard. What a perfect backdrop for your morning coffee session- go on, stick around for a second cup! Feel like a dinner party? No problem! The long, formal dining room offers the chance to impress- extra elbow-room included. Upstairs is an airy Master Suite (with private balcony), as well as three sizable guest bedrooms. Out back, the unobstructed city-lights and valley views are simply spectacular… Plus, there is plenty of room to lounge, garden, start hosting annual summer-time BBQs… you decide! So realize your dream, and grab hold of California Ridge before someone gets here first! This is Riverside living at its finest! Situated in the highly coveted, gated community of Victoria Grove, this amazing home has everything you have been searching for… and then some! The floor plan is open and versatile, with ample room for entertaining on both a formal or more intimate scale. Designer touches and materials are a common theme, throughout – ensuring every day feels a little more elegant and effortlessly impressing all who visit. The over-sized, chef’s kitchen – with stunning granite counter tops, huge breakfast bar and tons of storage – is the perfect spot to show off (or hone) your culinary skills. The adjoining family room will easily accommodate your “Iron Chef audience” and guarantee that no one feels left out. In addition, the main level also features a guest bedroom and full bathroom, as well as a separate home office/hobby room! The grand, master suite – with retreat and en-suite bathroom – is located upstairs, along with spacious secondary bedrooms and an enormous loft… perfect for a game room, library, home-gym, yoga/dance studio – you decide! Out back, you will discover the perfect spot to create your best memories – the ultimate summer BBQ, impromptu pool party (w/rock slide), an evening under the stars – the possibilities are endless… but only if you hurry! 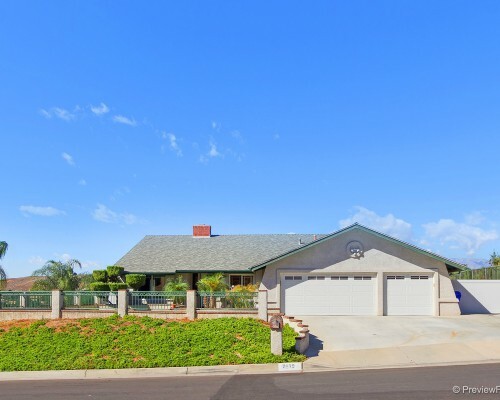 This spacious, one-story, Indian Hills home is an entertainer’s dream! Airy and updated throughout, this is the perfect home to host all get-togethers, big or small. The well-appointed kitchen (with sleek granite counter tops and high-end, wooden cabinets) is impressive, and always at the ready. A versatile, oversized- living room is the ideal setting for a game night, can easily be dressed up for more formal affairs … or … grab a nice bottle, light a fire in the custom-framed fireplace, and keep it cozy. Sizeable guest rooms and Master Suite are on the opposite wing of the home – so celebrations can carry on, and still allow others to get some shuteye. 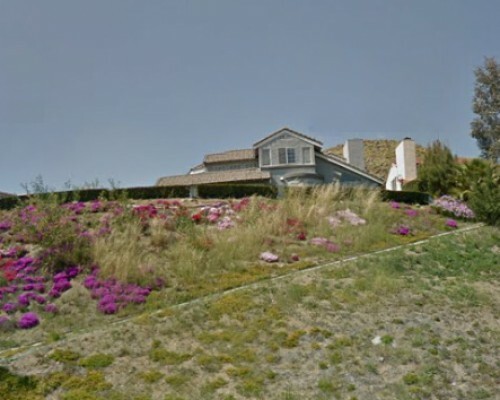 Speaking of “carrying on” … the sprawling half-acre will assist with that. Professionally hardscaped with the utmost fun in mind, your playground awaits! Sparkling pool, Built-In, Master BBQ/grilling station (with built-in drink cooler), Koi pond, Gated RV parking! Hurry – before someone else realizes this dream first! This incredible, dual-master home is everything you’ve been searching for… and then some! A sprawling, single-story floor plan will effortlessly bring out the entertainer in everyone. Formal or informal gatherings will be equally impressive. Spacious living and dining rooms are enhanced by the rich, hardwood flooring. Designer Italian tile adds a cool factor to the cozy family room, and an unrivaled level of sophistication to the beautifully remodeled kitchen. Discover your inner Iron Chef, by hosting a dinner party… kitchen-side. Gorgeous granite dances with glass tile backsplashes. Custom cabinets artistically frame stainless steel appliances. Cameras are optional, but applause is guaranteed. The secondary bedrooms are sizeable, and the dual master set up (with master suites at opposing ends of the house) is very convenient. At almost a half-acre, this corner lot gives you plenty of options… but only if you hurry! Some opportunities are once-in-a-lifetime. The question is: When they present themselves, would you act? For those whose answer is a resounding “Yes,” we present The West Estate. An Indian Hills icon, for nearly 40 years, this custom-built estate sits on the Western peak, of Indian Hills- a location hand-selected for its privacy and incredible golf course/ far-reaching city views. Built in a Mediterranean style, with a tasteful nod to the Old World, this home employs gorgeous, vaulted cathedral ceilings, long, formal dining rooms, sunken conversation areas, atria, and Roman tubs. Generously sized rooms are at the ready for guests, at a moment’s notice & the grand master suite was luxuriously designed with attached study, en-suite bathroom with dual vanities and water closets- there is even a secret room! Sprawling grounds, are available to stroll, play or simply relax and take in the quiet surroundings. So… Do you answer “yes” to opportunity? 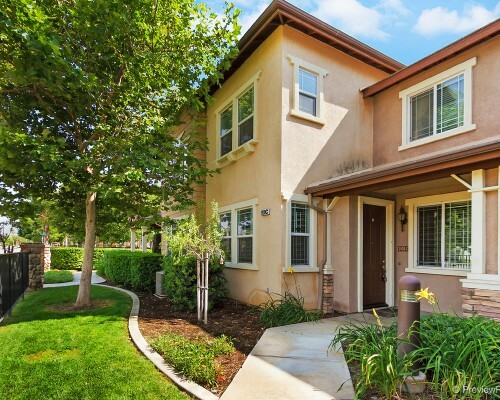 Manicured hedges flank the walkway & lead you to the flagstone courtyard of your new home, at the top of Indian Hills. The breeze is sweet as it dances through the tall, Italian Cypress trees – you pause a moment, open the front door & you are inside. Natural light cascades down the grand hall & in to the entryway. A formal parlor & over-sized dining room are at the ready, for entertaining. Beyond, the chef’s kitchen opens to a spacious family room – perfect for gatherings, big or small. Granite counter-tops, high-end cabinetry & built-ins make an elegant appearance. The fireplace enhances the ambiance & the wine selection set’s the mood. Down the hall are the secondary bedrooms & roomy master suite. Separate tub & shower, dual vanities & an exquisite view to greet you in the morning & send you off to sleep every night. Speaking of views -the home’s Western wall, is all windows, masterfully framing the valley and mountains in the distance. Head outside and survey your kingdom, while taking full advantage of the integrated recreation. There is a regulation 2-lane racing pool, sport court, even horseshoes …all with a picturesque backdrop that will continuously remind you that you’ve made it. Situated in Canterbury, at Indian Hills, this wonderful floor plan, with its over-sized, corner lot, will make you feel at home in no time! Plenty of room for a friendly game of catch, frisbee, tag, etc. out front… or invite the crew over, and relax in the super-low maintenance backyard! BBQ and beverages are optional. Inside, gorgeous, imported flooring highlights amazing flow and function. Sizeable rooms, lots of storage and a spacious master suite, with en-suite bathroom and walk-in closet come standard. Don’t forget about the community pool, playground and the fact that premium golfing is literally steps away. Hurry- before someone else secures this hole-in-one! You’ve been searching (for what seems like an eternity) for your dream home. You know what you want, but the inventory has been lacking. You think to yourself, “It has to be the right floor plan … location definitely matters… it has to be big enough to entertain my friends/family… it has to be nice… I don’t want a lot of land, but I still want some distance from my neighbors… a 3 car garage would be awesome… I would love for it to have a ‘killer’ view.” Well… your search has just paid off! Situated in a premier location, along the 1st fairway of the Indian Hills Golf Course, unrivaled views of the golf course, and valley, will become a constant. A tastefully redesigned floor-plan gives you the space you desire and takes full advantage of your new golf course locale. Feel like entertaining? Invite a few friends or the whole gang– there is enough room, both indoors or al fresco! At the end of the day, the expanded master suite, with retreat and bonus area, offers the perfect place to wind down. And as the city lights twinkle on and off, beyond the golf course, you will realize that the search was worth it… but only if you hurry! 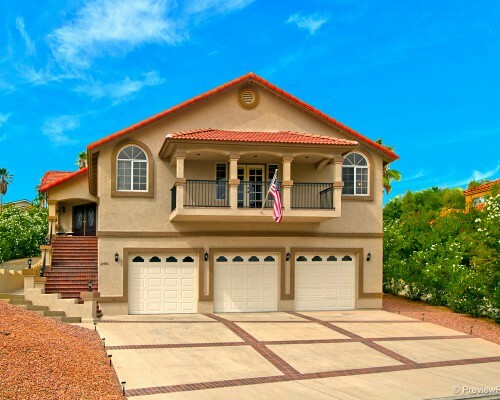 This amazing, single-story Indian Hills home is exactly what you’ve been searching for! Well thought out and beautifully designed, the open-concept floor plan allows for gatherings on grand and more intimate scales. You could easily host movie night for 20…. or 2- you decide. Feel like showing off your inner iron chef? The over-sized kitchen is perfect… and the breakfast bar can accommodate your audience! Secondary bedrooms are spacious, bonus rooms offer options (home gym/office, craft/hobby rooms, computer/videogame centers, etc) and the master retreat is simply incredible. Out back, a sparkling pool and spa form the perfect backdrop for your annual summer BBQ. So grab hold of this one, and start writing out your invitations, before someone else beats you to it! 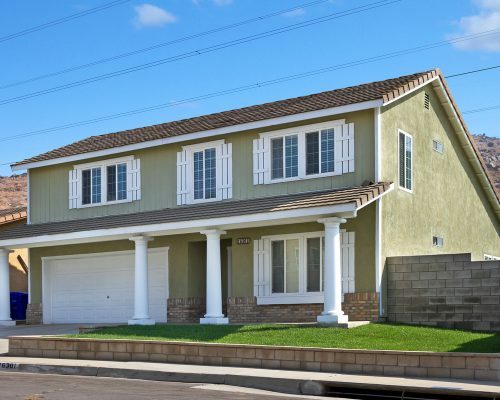 This beautiful 4 bedroom, 2.5 bathroom, two story home is one of our BRAND NEW listings in Indian Hills! We always like to let our clients, neighbors, and friends know about our new listings before they are placed on the Multiple Listing Service, and are open to the public. This listing is SO NEW, we haven’t even written the description yet! What does that mean for you? If you are interested, we can get you in to see it, and help you write an offer if you love it, BEFORE anyone else does. Sound like something you may be interested in? Give us a call, or shoot us a text at (951)534-9296. We would be happy to get you the info on this home FIRST! What a RARE find! 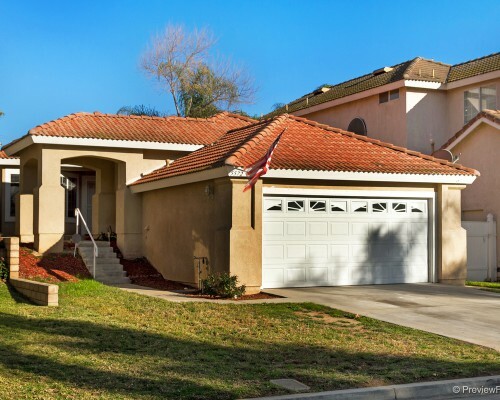 Located in the California Ridge neighborhood, of Indian Hills – this cul-de-sac home is the last one on the street and is situated on a ½ acre lot!! 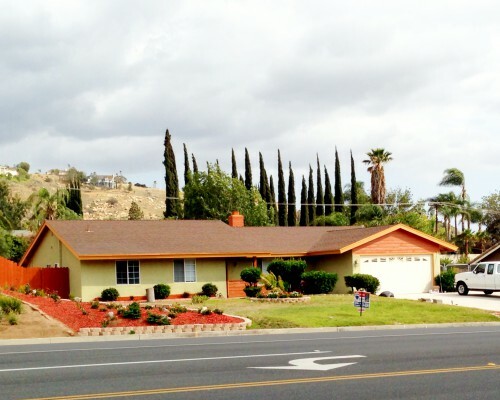 That’s right – over-sized, end of street lot, neighbors on only one side, with endless views of the valley, surrounding hills and evening city lights! The wonderful floor plan has everything you’ve been hoping for – separate living and family rooms, open and airy kitchen (with center-island and pantry) – there is even a bonus media loft! Secondary rooms are spacious and the master suite was built on the view side – so the start and end of every day is absolutely breathtaking! Don’t forget the 3 car tandem garage and gated RV parking! 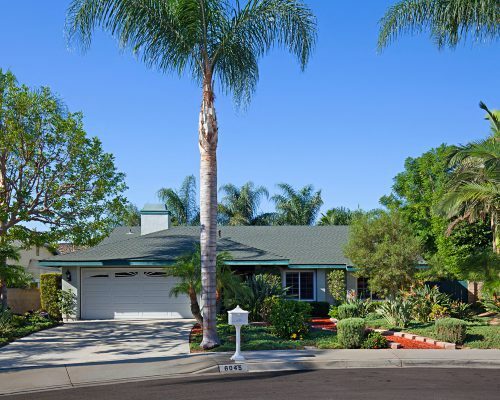 Part of the original “1001 Ranch Tract” and located on one of Indian Hills’ most coveted streets (which is built right in the middle of the golf course), this charming, single-story home is just what you’ve been searching for! The functional floor plan is cozy and inviting throughout. A bright and open living room, leads to a country kitchen with lots of storage. Down the hall, sizable guest rooms are at the ready and beyond, the home has been tastefully expanded to include a spacious family room – complete with vaulted ceilings and a gorgeous rounded brick fireplace – as well as a separate master wing. The golf course location (this home backs up to the 6th green!) is the perfect backdrop for entertaining (parties large or small), or simply a great spot to greet the day, coffee in hand, and watch the sunrise. Hurry and grab your house on the golf course, before someone else beat s you to it! 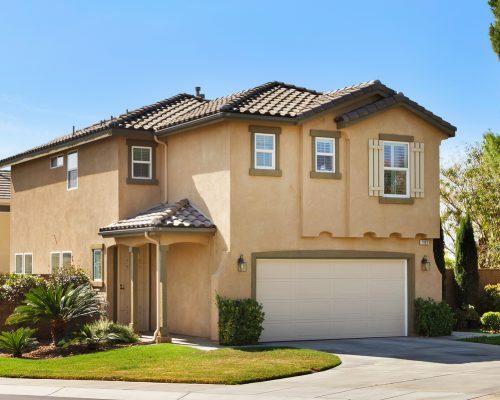 This highly sought-after, single-story Indian Hills floor plan has it all! It is nicely situated on a private and elevated lot, and just a stone’s throw from the 1st Green and 2nd Tee Box of the Indian Hills Golf Course. A beautifully manicured lawn greats you at arrival and leads you to the front door. Inside, upgraded flooring and dual paned windows gracefully highlight a true entertainer’s floor plan. 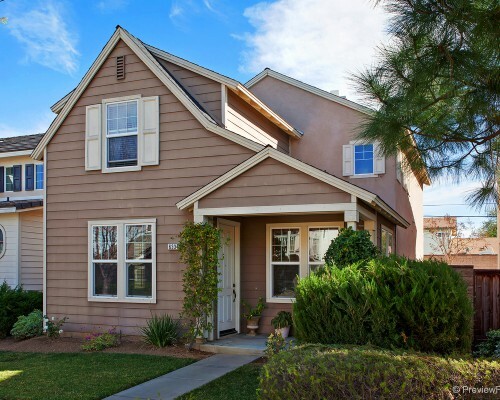 Spacious living, formal dining and family rooms flow effortlessly to the updated kitchen. Secondary bedrooms line the Southern wing, and a roomy master suite (with en-suite bathroom, dedicated vanity and walk in closet) forms a true retreat. 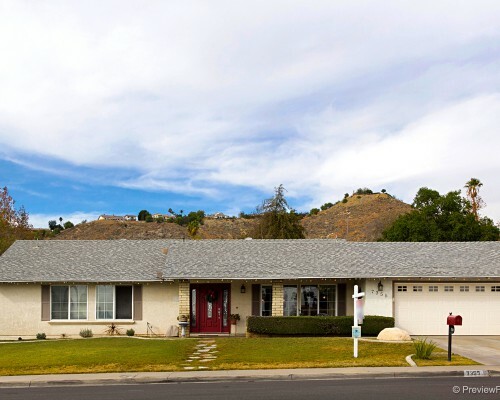 The low-maintenance back yard, with views of the surrounding hills, comes equipped with a sparkling pool/spa and room for guests, epic BBQs, toys, etc. Don’t forget the gear-head garage, worthy of your hot rod or next project car. Hurry before someone else beats you to it! 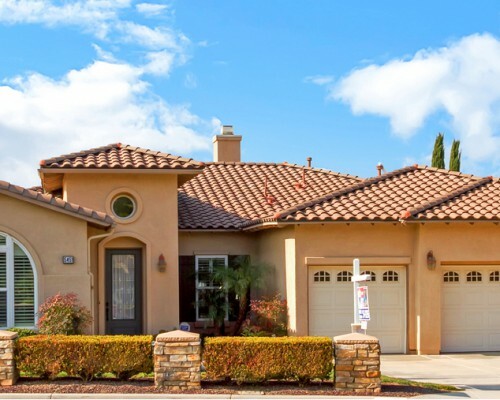 Situated in one of Indian Hills’ favorite enclaves, this is an example of DeAnza Verde Estates… at its finest! An enhanced version of the development’s largest floor plan (on the green belt! ), with designer touches and amenities throughout. Natural lighting dances beautifully through the newer, dual-paned windows, highlighting the quality, laminate flooring and fashionable color palette. Archways open to a remodeled kitchen (with tons of shelving and storage) and pantry. There is even a courtyard cantina– complete with built-in BBQ station! A practically maintenance-free patio awaits you, out back. So take in the serene green belt vibe… from your secluded spa… and start living the good life right away! 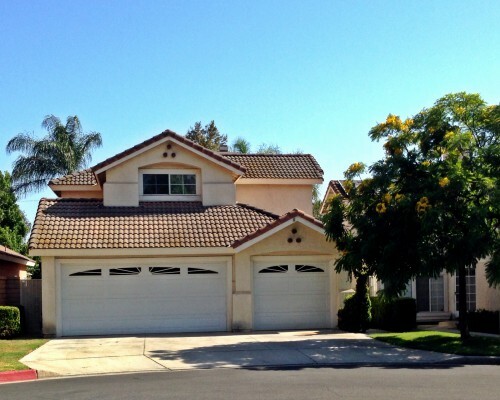 This incredible Jurupa Hills Golf Course Home is everything you’ve been searching for! The bright, open-concept floor plan is impressive, and ideal for entertaining! Newer, dual pane windows let in the perfect amount of light. Porcelain tile flooring and large baseboards skillfully frame every occasion. Updated cabinets, recessed lighting, and ample counter space in the kitchen make prep work a snap. The classic rock fireplace will be the backdrop for your best memories. Out back, the serenity of the golf course surrounds you. Take in the smell of freshly cut grass, the sound of the breeze rustling through the trees – a true retreat from the world around you … but only if you hurry. 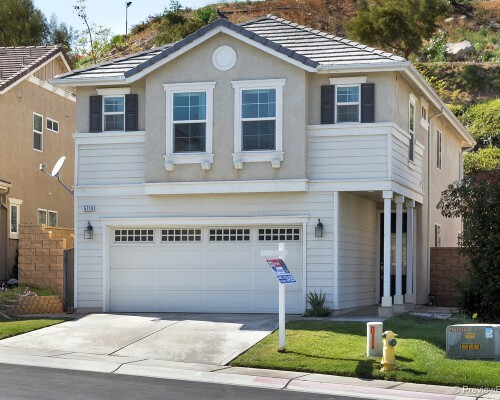 This charming 3 bedroom, 2 bathroom, one story home is one of our BRAND NEW listings in Indian Hills! We always like to let our clients, neighbors, and friends know about our new listings before they are placed on the Multiple Listing Service, and are open to the public. This listing is SO NEW, we haven’t even written the description yet! What does that mean for you? If you are interested, we can get you in to see it, and help you write an offer if you love it, BEFORE anyone else does. Sound like something you may be interested in? Give us a call, or shoot us a text at (951)534-9296. We would be happy to get you the info on this home FIRST! 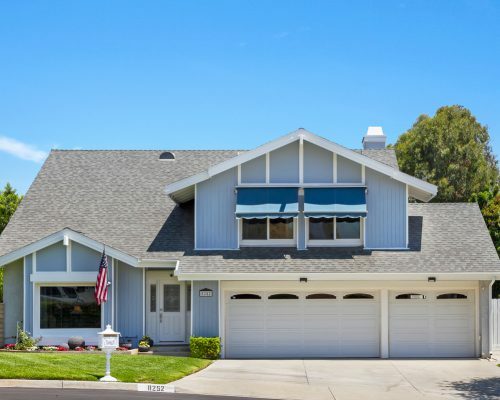 Situated in the prestigious community of Indian Hills, this rarely available and highly sought-after tri-level floor plan has everything that you have been searching for… and then some! High, vaulted ceilings and wide hallways give it a custom feel right from the start. There is a grand formal living room, for entertaining, and spacious family room- complete with cozy fireplace. The perfect spot for more intimate gatherings! The family room is just off of the bright and open kitchen. Lots of quality granite counter-space, cabinets, walk-in pantry… even a huge chef’s island with breakfast bar! Don’t forget about the downstairs guest bedroom and full bathroom! Secondary bedrooms are on the second level, along with an over-sized laundry room! The master suite takes the cake, though… super private with en-suite bathroom, dual sinks & vanity, separate tub and shower, and dual closets. On the third level, is the over-sized loft- perfect for a media area, home theater or game room. 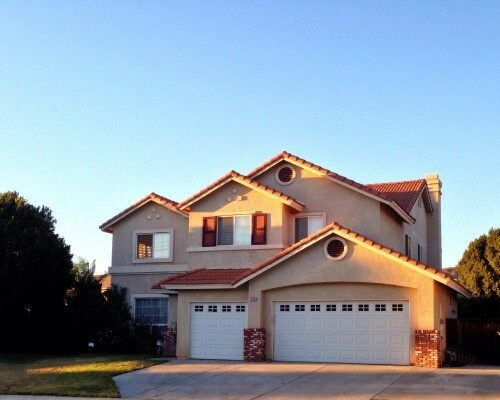 The three car garage and expansive yard, are icing on top. So go on, show everyone that you have arrived, with this incredible home. Feel like leveling up? Here is your chance! 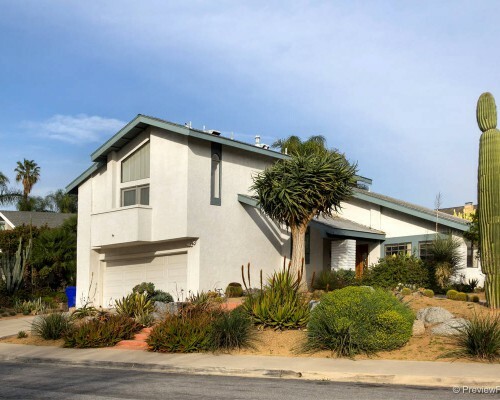 An over-sized, elevated, corner lot sets you apart from the get-go. Classic styling draws you in, and tasteful, contemporary upgrades make it feel like it was designed just for you! Glass-paned double doors open wide and lead you through the entry and into the formal living room … or formal dining room, depending on the occasion. 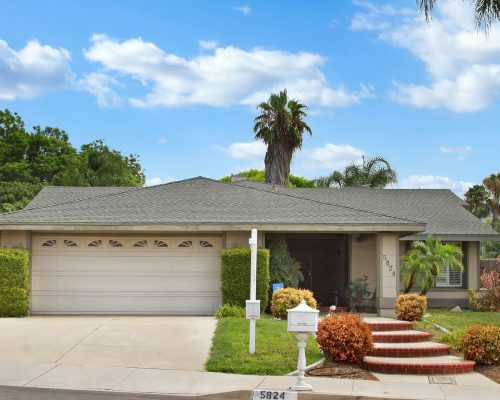 Upgraded flooring , throughout, makes an early appearance, as does the remodeled kitchen – complete with exotic, slab granite counter tops, glass-front cabinets and recessed lighting. Dual-paned windows let in the perfect amount of natural light – enhancing the designer color scheme. Down the hall are three spacious guest rooms and a master suite, with separate vanity and ample walk-in closet. Out back, a sprawling yard challenges you to host the perfect summer BBQ, throw the best birthday party ever or simply kick back and enjoy a lazy day with the ones you love the most. Hurry, though … before someone else takes that challenge. Tucked into the hillside, high above the rest, this Indian Hills single-story is everything you have been searching for – and then some! A beautifully flowing floor plan is tastefully enhanced with designer touches throughout – from the porcelain “wood plank” flooring in the high traffic areas, to the re-textured walls and ceilings. Gorgeous granite counter tops and tons of storage in the kitchen, and a master suite redesigned with tranquility in mind. Looking for RV/Boat/Toy parking? It’s here! Looking for a little more “elbow room?” The half-acre lot will help with that! Don’t forget about the sunset/city lights view! Hurry and stake your Indian Hills claim right here before someone else does. 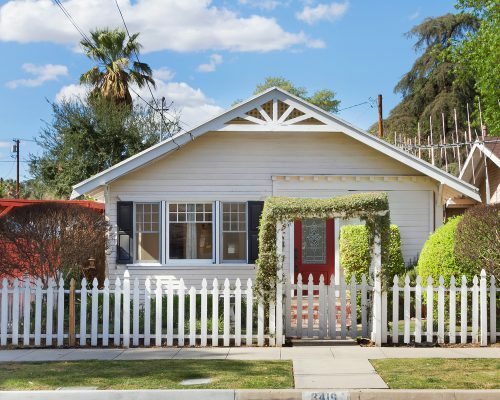 Here is your chance to own a classic, Craftsman Bungalow- (with a pool!) 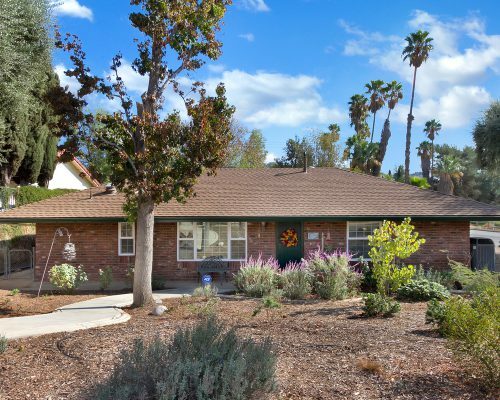 situated in charming, Downtown Riverside! A white, picket fence opens to a quaint yard and gabled roof. Inside, hardwood floors complement bead board and built-ins. The delightful kitchen has been tastefully modernized with contemporary appliances and glass-front cupboards. Indoor laundry offers convenience and an oversized bonus room is perfect for a home office, art studio, gym… Hurry and grab hold of your very own piece of Riverside history, before someone else does! This incredible mid-century home expertly blends classic design and feel with 21st-century amenities. 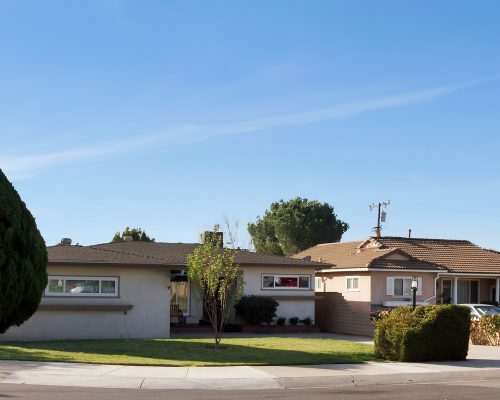 A highly sought-after cul-de-sac location is complemented by a meticulously manicured lawn and oversized driveway – large enough to accommodate your car’s tailfins, and then some. Inside, a floorplan designed for entertaining awaits. The expansive living room (highlighted by its stylish, bevel-cut, dual-paned windows) would be the perfect place to host your next cocktail party … or stoke up a fire in the family room (in your very own rock fireplace) and call the gang over for game night! The back yard is just yearning for a 1950’s style BBQ. Dust off the bocce ball, and show off your skills on the lower lawn, congregate under the covered patio … did we forget to mention the sparkling, crystal-clear pool? Sometimes good times sound like laughter, sizzling steaks and a heathy game of Marco Polo. Grab hold of this and start creating your own good times- before someone else beats you to it! This South Ridge home is INCREDIBLE and tastefully updated throughout! The beautifully remodeled kitchen comes complete, with gorgeous granite counter tops, pendulum lighting, stainless steel appliances and all new cabinets! Bathrooms follow suit, with sleek granite, new cabinets and updated fixtures! Guest bedrooms are spacious (don’t forget that one of the bedrooms and bathrooms are on the main floor! ), and the master suite takes the cake with en-suite bath and walk-in closet! Out back, a quiet and low maintenance yard offers the perfect place to relax (no neighbors behind) or gather with friends and family – you decide! But hurry … before someone else grabs it first! Just steps away from the 1st Green and 2nd Tee box, of the Indian Hills Golf Course, this highly sought-after Indian Hills floor plan is ready to go! Bright and open throughout, meticulously maintained and modernized with retextured walls & ceilings (no “popcorn” here!) and porcelain tile floors. A fully-remodeled kitchen, complete with tasteful quartz counter tops and custom cabinets, opens to a spacious family room –so no one ever feels left out. This home has TWO fire places; one in the living room AND an extra-cozy one in the master suite. 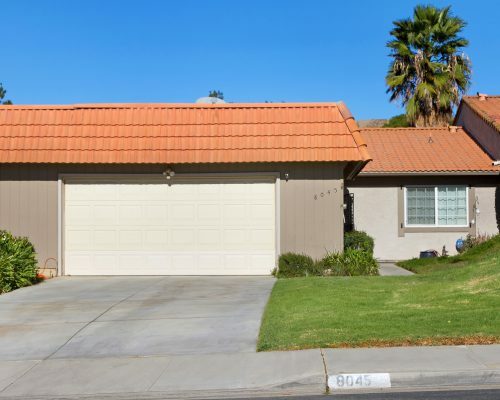 For the energy conscious, the roof has been updated with concrete tile, heating and A/C is new and the LOW, LOW maintenance front and back yards are equipped with an automatic drip sprinkler system, which effortlessly keeps the plentiful palm trees hydrated. 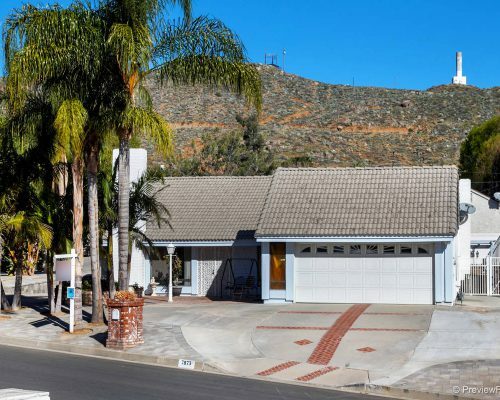 Peek-A-Boo views of the golf course & quiet, corner lot location makes you feel like your living in your own little corner of the world – come and make this “home,” before someone else does. This tastefully updated, ever-popular floor plan is just what you’ve been looking for! An open and airy concept, combined with vaulted ceilings and lots of windows, ensures incredible natural lighting when and where it counts. 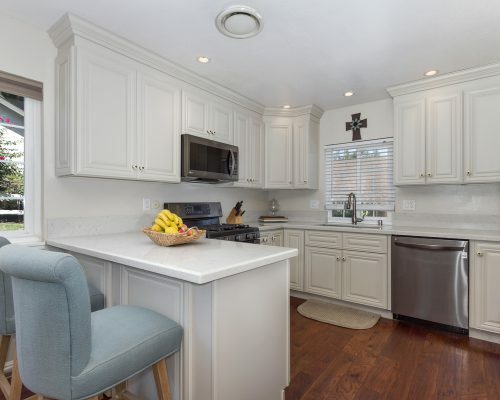 The remodeled kitchen- complete with redesigned granite counter tops, stainless steel appliances, and warm wood cabinets, will make your new home THE place to be- in fact, don’t be surprised if all future get-togethers are quickly redirected to your place! A spacious living room and separate, cozy family room make it simple to switch between larger groups or more intimate gatherings. Want to take it outside? No problem! The tropical backyard oasis with sparkling pool, heated spa, and sweeping golf course view is lush and inviting. Designated areas for outdoor dining, lounging, and BBQ means the space is both beautiful AND functional. Indian Hills is known for its great floorplans, over-sized lots, private locale and stunning views – this property has them all! An open, one-story floor plan, popular for its spacious country kitchen, and sizeable rooms, has been built on a double lot, situated at the top of the hill and has a spectacular view of the valley below. Enhanced with granite in the kitchen and updated bathrooms, country-chic never felt so good! Looking for “elbow room”? Do you have toys? Horses? What could you do with an acre? Possibilities abound. Hurry, before someone else grabs it first! Just what you always wanted home to feel like; beautiful, special, and impressive. 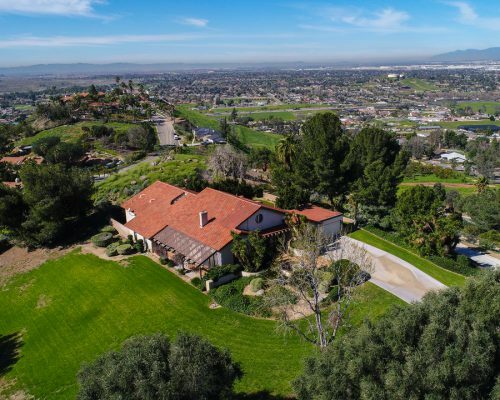 This breathtaking, semi-custom, one story home is perched at the top of the exclusive community of Indian Hills, with sweeping 180 degree views of Riverside and Jurupa Valley. The highly sought after, rarely available, floor plan includes 4 large bedrooms, 2 spacious bathrooms, indoor laundry, and a spectacular kitchen. The beautifully upgraded kitchen has granite counters, bright white custom cabinets, stainless steel accents, and a breakfast bar. Making morning coffee or an evening snack is a pleasure, here. The kitchen’s garden window looks out to a striking outdoor dining area, complete with mood setting accent lighting and a tranquil waterfall- The perfect spot for dinner at sunset. A sophisticated living room and adjacent dining room look out to the professionally landscaped yard and the stunning view. Evening meals are made extra special when the sun goes down, and the city lights start to twinkle. You can even watch the planes take off and land at Riverside Municipal Airport. If you want a home that says “I’ve made it,” look no further. Vaulted ceilings and high end touches throughout give this home an elegant, modern feel. The emphasis on views continues to the master suite, where you can look out, over the golf course, to the city below, or watch a breathtaking sunrise, all from your cozy bed. Outside the fully landscaped yard is impressive. It creates a park-like setting that flows from the front yard, around the side, and to the back. With several separate areas for outdoor dining, lounging, playing and entertaining- this is a home where indoor/outdoor living can happen, effortlessly. The large lot even features gated RV/boat parking without sacrificing space or style. With so much to offer, this luxurious, comfortable home will not last. Contact us today to schedule a private tour, and experience elevated living. 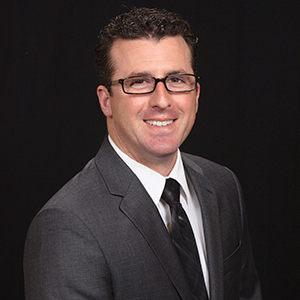 Listing agent Graham Levine can be reached at 951.534.9296. Rustic charm greets you the moment you step onto the expansive ½ acre lot of this beautifully maintained, ranch style home. Up the walkway and through the front door; you notice that this home has a just right combination of country charm and thoughtful upgrades. A formal living room greets you upon entry, as do the warm and inviting hardwood floors. The kitchen is big, and has plenty of counter space and storage. With casual dining and large family room just steps away, you have room for a crowd. Whether you choose to cuddle up by the fire, or gather around the table for a night of board games- you are surrounded in casual comfort. The four bedrooms are spacious, as are the two bathrooms. The master has direct access to the covered patio out back, making morning or evening lounging easy, overlooking the grounds. Speaking of the grounds… Out back options abound. A large covered patio, and manicured lawn are great places for play. Beyond that, though, is where things get really interesting. A massive 1,600 sq. ft. garage/workshop, with extra tall 12 ft. tall roll up doors, is at the ready for boats, RVs, trailers, and more. A wide space for turn-around makes getting in and out a breeze, as does the easy access side gate. This home has so much to offer- Great style, plenty of space, lots of flexibility, and a warm comfortable feel. It’s the perfect spot to kick off your boots, put your feet up and relax. It won’t last long though- give us a call today so we can help make this charming house, your home. If the tree lined street, and spacious corner lot of this beautiful home doesn’t grab your attention, the amazing floor plan will. At just under 2,200 sq. ft. with 4 bedrooms and 3 bathrooms, there is definitely no shortage of space. But the thoughtful layout of this home is what makes it so desirable. The tri-level first floor is impressive, with high vaulted ceilings in the formal living and dining room. A large, well-appointed kitchen looks out on the back yard, with space for casual dining nearby. Don’t forget the cozy family room, just a few steps away, complete with distressed brick fireplace and wet-bar. A bedroom and full bath, tucked away in a quiet corner of the first floor, is convenient for a home office, guest room, home gym and more. Upstairs three large bedrooms await, with the master suite taking the cake. Generously sized, with vaulted ceilings and tons of natural light, there is room for both bedroom necessities, and maybe even a quiet reading corner, or conversation area. All three bathrooms in this home have been recently remodeled, and the overall tone is understated elegance. The backyard is big- and the workshop in the three car garage is a major bonus. With all this to offer, and a price that is spot on, why not be like Goldilocks- and declare this home ‘Just Right.’ We would agree of course, and are happy to help you make this perfect house, your home. Home is where we long to be, spending quality time with those we love- away from the grind. Lazy Sunday breakfasts in PJs, hot coffee and fresh muffins, laughter… these are the memories you keep forever. Make those memories here. Vaulted ceilings and lots of windows offer an abundance of natural light. Spacious living and family rooms are great for a crowd, or just a few. A beautifully updated, elegantly modern kitchen is THE spot for a casual chic dinner party; with custom granite and stainless steel complementing the menu. Al fresco dining is at the ready, with your own outdoor grill center. With an exquisite view of the golf course and a generously sized yard, outdoor lounging is ALWAYS on the agenda. A downstairs bedroom and full bathroom are perfect for out-of-town guests, or a home office. The spacious master suite- with retreat- is off on its own. What an ideal place to reflect on the wonderful memories you are building, every day. Hurry – before this becomes the setting for someone else’s story. If you’ve been waiting for that perfect, custom built luxury home on over 10 acres in the La Cresta area, your wait is over! You’ll fall in love the moment you open the spectacular arched entry door. You’re greeted by soaring ceilings, travertine flooring with inlays, dramatic lighting and custom cabinetry throughout. The home features a formal sitting/living room, formal dining room, a grand kitchen that opens to a spacious family room with a stone fireplace. Four additional fireplaces are located in the living, dining, master bedroom and bath! The huge master suite has plenty of room for a sitting area and the bath features a spa tub, and large walk-in shower. The master closet also has custom built-ins. All 4 additional bedrooms have en-suite bathrooms and large walk-in closets. One of the bedrooms makes a great in-law or guest quarters as it has a separate entrance. 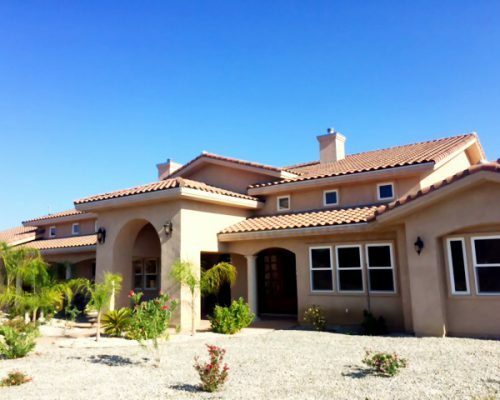 Outside you’ll find a wonderful pool & spa with sweeping views, a large covered patio with outdoor kitchen areas and plenty of room for your horses. There is already an additional graded pad that would be great for an RV garage, barn or possible guest house. The landscaping is easy care and drought tolerant with plenty of opportunity to add your own touches. No expense was spared here! Home – it’s the place where everyone longs to be. The setting for memories everlasting. Birthdays and candles, lazy Sunday breakfasts in PJs, laughter, the incredible “cannon ball” story that that will be retold for decades. Start those memories, here. Vaulted ceilings and lots of windows – so the lighting is always perfect. Spacious living and family rooms – great for a crowd, or just a few. An elegantly updated and open kitchen . Throw the dinner party to end all dinner parties, and show them how custom granite and stainless steel enhance the experience. .. or opt for dining al fresco. The custom-built pool and spa make an excellent back drop and the over-sized patio and cover will ensure everyone is comfortable. A downstairs bedroom and full bathroom is at the ready for out-of-town guests. The spacious master suite is off on its own. A quiet retreat and the ideal place to reflect on the wonderful memories you are building every day. Hurry – before this becomes the setting for someone else’s story. 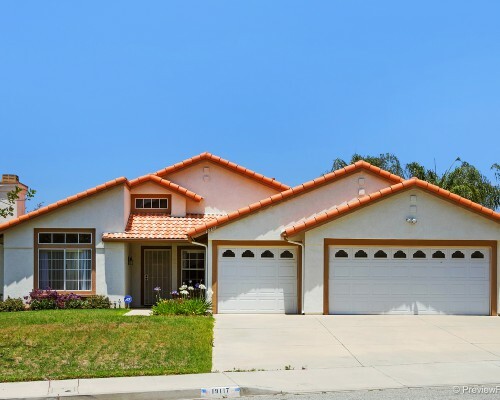 This wonderful Orange Crest home is exactly what you’ve been searching for! 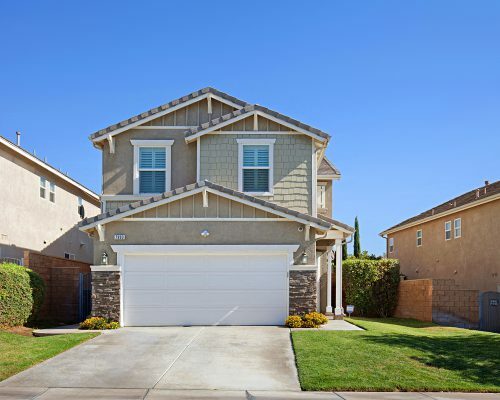 From the quiet, cul-de-sac location and open floor plan, to the spacious master suite (complete with en-suite bathroom and sizable walk-in closet) and low maintenance yard. 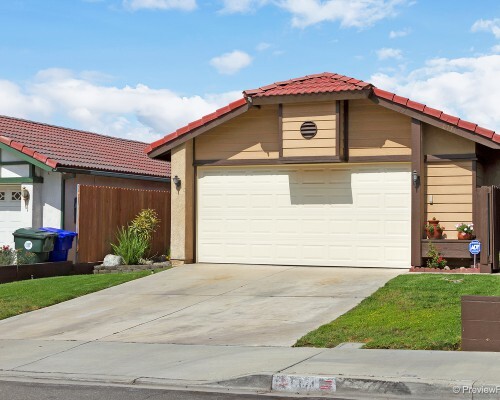 A three car garage is ALWAYS a good thing & did we mention that it is walking distance from Mark Twain Elementary, King High School and Bergamont Park? Well, it is! Don’t forget the quick drive to the 215– making your commute so much more convenient! Hurry– this will not be available for long! When masterful design, meets flawless execution, the result is nothing but breathtaking. Welcome to 7970 Standish Avenue. 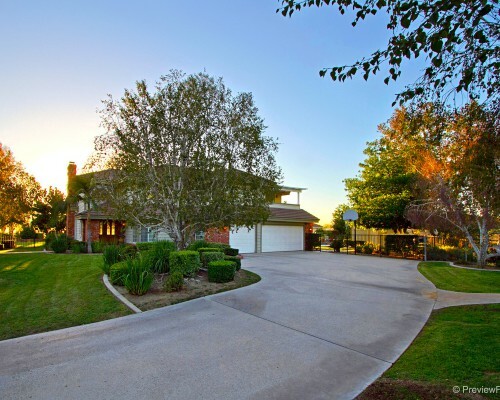 Tucked away within a quiet, Indian Hills neighborhood and surrounded by the golf course and rolling hills, the location is serene. The simple idea of an open-concept floorplan, quickly led to a collaboration of hand-selected materials, high-end appliances and harmony of form and function. From the hand-scraped white oak plank flooring, to the custom, solid maple cabinets; The elevated granite kitchen counters and bar to the Viking Professional Grade matching appliances – no expense was spared. Bathrooms were updated; Built-ins and showers were added and expanded. The backyard was transformed into a private park. We could keep going, or you could schedule a private showing.. Call us today for more information. 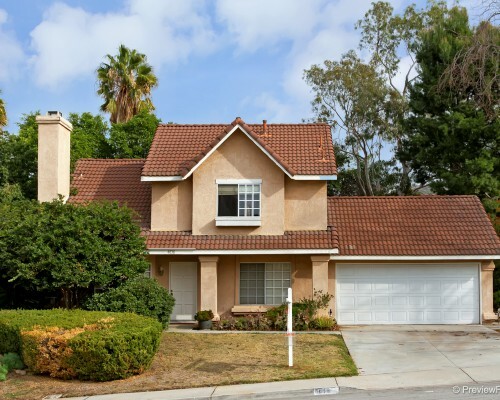 This charming Indian Hills home is located in the VERY desirable California Ridge tract! 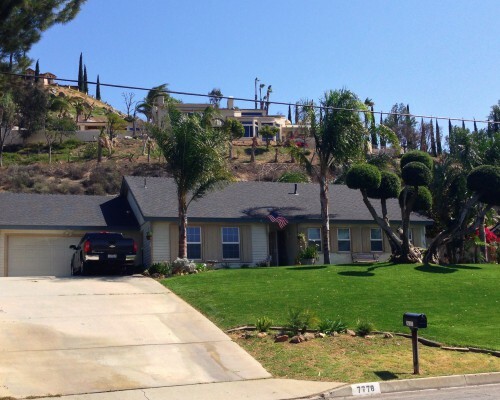 One of the only neighborhoods in Indian Hills with both street lamps and sidewalks, means a sunset stroll or a jog with your dog is only steps away. This floor plan is great, with an over-sized formal living room and dining room – which is just perfect for entertaining! Ever dreamed of having an in-house library? The cozy family room is adorned with custom, built-in bookcases – making that dream a reality! The eat-in kitchen is bright and airy, with large windows that take full advantage of the Eastern facing back yard and wonderful natural lighting. Three spacious bedrooms await you, upstairs, including a roomy Master Suite with vaulted ceilings and a great view of the over-sized yard. Speaking of yards … the extra “elbow room” will make you very popular with friends and family – so dust off your grilling books, because you’re going to need them! Did we mention that it’s walking distance to Camino Real Elementary School? Hurry- before it’s too late! 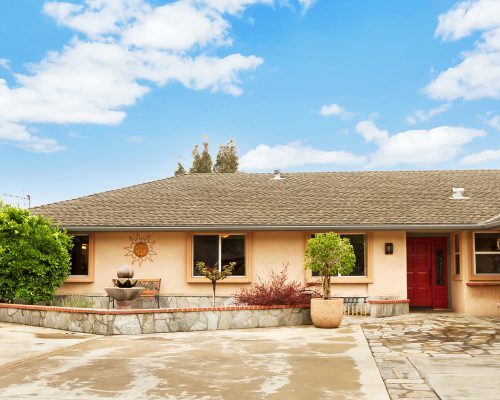 Live well, love much and laugh often in this classically charming Indian Hills home. Gorgeous from the get- go, the terraced landscaping is first to greet you. Stroll up the front pathway, amongst colorful, fragrant flowers to the front door. Inside you will discover a bright and open floor plan, designed for making the most of everything life has to offer. A formal living room to impress your guests, complete with bay window and wonderful views of the surrounding hills and peekaboo city lights. Garden box windows, in the kitchen, highlight the ample counter space and provide the ability to have herbs at the ready, whether showing off your culinary skills to guests, or just playing chef in front of friends and family . The cozy fireplace turns the family room into the perfect spot to cuddle up and watch a movie or dive into your favorite book – you decide. The bedrooms are on the opposite side of the house, and the spacious master suite, with vaulted ceilings and en-suite bathroom, has direct access to the back yard and garden. Speaking of gardens –this one is hard to beat! Producing citrus trees, vegetables, flowers, birds & butterflies fluttering by … and water-wise landscaping that keeps everything, in between, lush and colorful! Decide to live very well – before someone else does. Clean, sleek and modern. Calling all design enthusiasts- we just found your next home! The first thing you feel when you arrive at this incredible home- is calm. Situated on an oversized corner lot, and sitting up above the street, the house impresses from the get-go. Take a moment to notice the custom designed landscaping with succulent garden, and bubbling water fountain. There are on trend, designer touches everywhere- from the split rail fence, to the house numbers on the front, and that is all before you even step inside. The cohesive modern theme carries all the way through the home. A beautiful, open kitchen- upgraded with custom lighting, countertops, and a large center island. Even the cabinets have style with frosted glass doors and in cabinet lighting. The convenient dining room is steps away, with a cozy fireplace next to the table. THIS HOME, has ambiance to spare. A spacious family room opens up through French doors to the backyard- where you should plan to do LOTS of entertaining. Divided into lounging, dining, and playing areas- this is the ultimate place to show off. Your friends will be impressed by the fire pit and raised patio lounge. You will love how you can fit quite a crowd, beautifully and comfortably. We don’t need to tell you, that something this stunning won’t last long. To make this beautiful home yours, call us now. (951)534-9296. Here is your chance to own one of Indian Hills’ finest floor plans! This beautiful home feels open and spacious the moment you walk through the front door, thanks to vaulted ceilings, and a large picture window in the living room. Keep going and you pass a grand formal dining room, big enough to host any holiday meal, and just steps away from the kitchen using a discreet, corner doorway. The kitchen too, is bathed in bright natural light, and the neutral color scheme is ready for your personal touches. A large breakfast nook makes informal dining convenient, and clean-up quick and easy. Windows to the backyard make it possible to keep an eye on everyone outside, while you make dinner, a DEFINITE plus. A step down family room, currently being used as a game room, is versatile, and a full bedroom and bathroom give guests a comfortable, private, place to stay. Three spacious bedrooms upstairs, and a master suite that has TONS of closet space give you room to spread out- exactly why this is such a great floor plan! The backyard is over-sized, the location is ideal, and the feeling you get when you walk in the door of your new home- is nothing short of magic. Don’t let this Indian Hills charmer get away- you will be sorry you did. When choosing your home, there is no reason to settle. If you have been searching for elegance, location, privacy … your search is over. 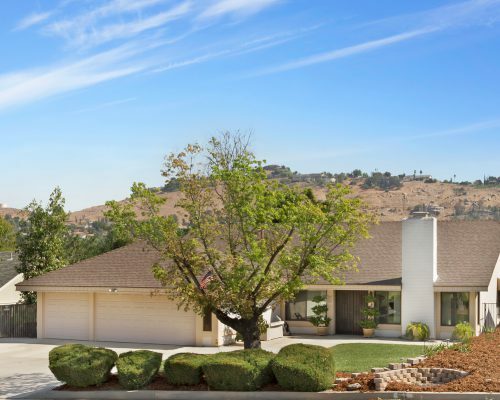 Nestled deeply into California Ridge, one of Indian Hills’ most esteemed developments, is a floor plan that has been adored and sought after since its inception. Grand and open, your guests will be impressed the moment they arrive. Vaulted ceilings frame the formal entry, and warmly greet all who enter. Spacious living and dining rooms are inviting, and provide the perfect setting for impressive get-togethers or more relaxed events. The roomy and updated kitchen is ready for your culinary escapades, and the casual dining area is the perfect place to sip espresso, while applauding the homemade Tiramisu. Just off the kitchen is a sizeable family room, perfect for watching the game, or cuddling up next to the fireplace. Upstairs, is a sprawling master suite, with en-suite bathroom, separate tub and shower and its own private balcony. The cedar-lined closet is a nice touch, as well. The secondary rooms are wonderfully sized, and would make any guest feel comfortable. Out back, privacy is yours amidst gorgeous landscaping and no neighbors behind you. Stop searching – you’ve found home. This incredible home, situated within Riverside’s Liberty Square Community, is charming from the get-go! A quick pause at the front porch is refreshing. Meandering walkways, lots of grass and tall trees are the perfect start or finale to any day of the week. Inside is model quality. An elegant, formal living room greets you at the door. Great natural lighting filters in through the picture windows and highlights designer touches throughout. Chic paint schemes, plantation shutters, custom back splashes all make a tasteful appearance. The Formal Dining room is spacious, and ready for your next dinner party. Want to keep it a little more casual? Start in the kitchen, add a few friends, a bottle (or two) of your favorite wine and head into the adjoining family room. Start a fire in the cozy fireplace, or pop in a movie. Either way, this is where everyone will want to be. A sizeable master suite and secondary bedrooms are upstairs, along with a conveniently positioned laundry room. Outside, the yard is practically maintenance free! Set up a hammock and BBQ here, or take advantage of the amenities at Liberty Square. Hurry, though … this one won’t be here for long! This floor plan is charming from the get-go. 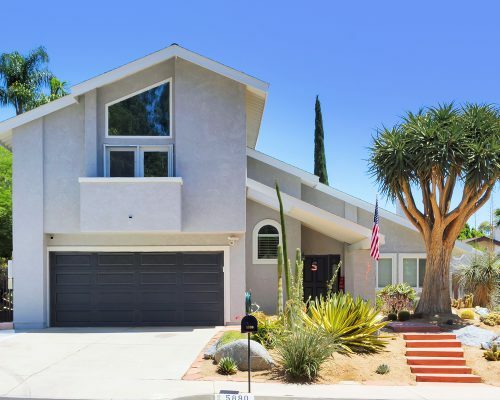 Tastefully updated throughout, with rich granite counter tops and custom cabinets, retextured walls & ceilings and low-maintenance landscaping , all-around. Elegance is a theme here – carefully chosen color palates enhance, natural lighting dances and highlights – everyone will be impressed. For gatherings large or small, your place will be the preferred venue. So go on -schedule that overdue backyard BBQ, game-night with friends or just a quite evening in front of the fireplace, with the ones you love most – this is where memories are made. This spectacular home sits at the top of a quiet cul-de-sac, and makes a grand impression right from the start. The dramatic brick staircase leads to an open-concept floor plan, which is inviting, and perfectly designed for entertaining. Grab a drink from your very own bar, and head over to the updated, chef’s kitchen. The high-end granite, recessed lighting and glass tile back-splash will effortlessly add a touch of elegance to whatever you’re preparing… and as far as prep space goes – the 8 ft. slab granite island is unbeatable! The family room is cozy, and the perfect setting for game night. The incorporated French doors open to a private back yard – so the party can easily expand, at a moment’s notice. Roomy secondary bedrooms are down the hall, and the spacious Master Suite has everything you could ask for– en-suite bathroom with shower and over-sized soaking tub, dual sinks, separate vanity, walk-in closet – did I mention the private balcony? 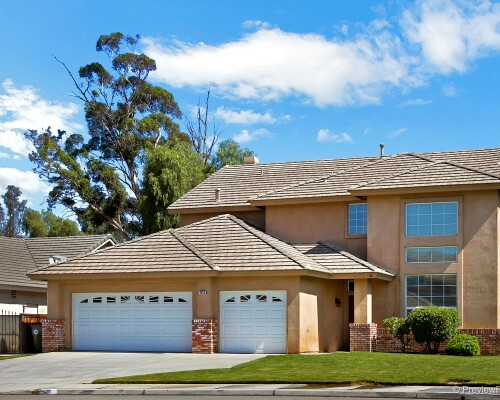 For those who enjoy staying fit, the 3-car garage houses a private, air conditioned gym! The garage is also deep enough to accommodate a ski boat and trailer– much more convenient than storing off-site! So grab hold of Canyon Lake perfection– before someone else beats you to it! This rare and highly sought-after 1 story floor plan is situated in the The Greens, At Indian Hills – the only gated community built right in the middle of the Indian Hills golf course! Rich wood-laminate flooring and a custom paint scheme give this property a high-end feel, right from the start. The bright kitchen has a breakfast nook, which is perfect for a quick cup of coffee … but is comfortable enough to relax with friends or family, over eggs and pancakes . The oversized living room is set up wonderfully, for entertaining … and with a spectacular view of the 8th Fairway, of the Indian Hills Golf Course! Go on … show it off! There is a spacious master suite – properly constructed on the golf course side of the house. In addition to the great view and direct access to the back yard, the master also has a long, dual sink/vanity with tons of storage, and a walk in closet that is probably bigger than everyone’s first apartment! A short stroll will take you to the community’s pool & spa, where you can keep cool in the summer and don’t have to worry about hiring a pool guy. Hurry over, and see it before it’s gone! You like newer, LOVE updated and hate the idea of spending your free time mowing the lawn. You’re social & like to entertain. A pool would be perfect ….but then, there is the whole pool service thing. You love going out, but hate battling the traffic to get there and then the inevitable ride home. Here is some great news– you don’t need to compromise. 3920 Polk Street, Unit C is what you’ve been searching for! Located in Georgetown Square, this beautiful condo is walking distance to The Tyler Galleria, Kaiser Permanente & the great restaurants and shops, in between! Tastefully updated with features you will be proud to show off. Warm bamboo flooring greets you at the entry and leads to the cozy living room– complete with fireplace– add wine and friends, here. Elegant granite counter tops and upgraded cabinets make their appearance in the kitchen, and effortlessly add a touch of sophistication to every culinary escapade. If you must bring your work home, you can leave it downstairs– at the built-in desk/office center. Upstairs, you will find a bright master suite, with stylish en-suite bathroom, and spacious secondary bedrooms. No– you’re not dreaming. Hurry up and grab hold of this one before someone else does! 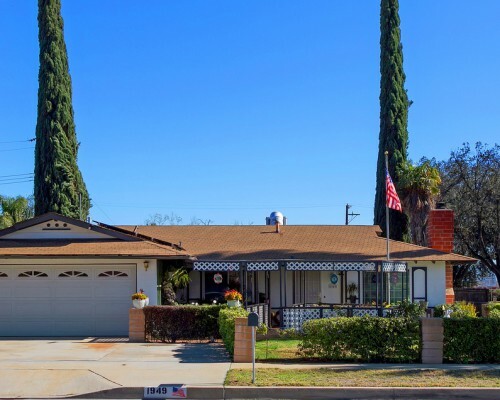 If you’ve been dreaming of living in Indian Hills’ highly sought-after California Ridge neighborhood, here is your chance! This floor plan has always been a favorite! The separate Living AND Family Rooms were designed with a double-sided fireplace – so no one ever misses out on the ambiance or good times. The eat-in kitchen is bright, with over-sized windows and a sliding door to the back yard. What a perfect backdrop for your morning coffee session – go on, stick around for a second cup. Feel like a dinner party? No problem! The long, formal dining room offers the chance to impress – extra elbow-room included. Upstairs is an airy Master Suite, as well as 3 spacious guest bedrooms. Out back the yard is flat and open. Plenty of room to ride bikes and trikes, put in a pool, build a fort, start hosting annual BBQs – you name it! 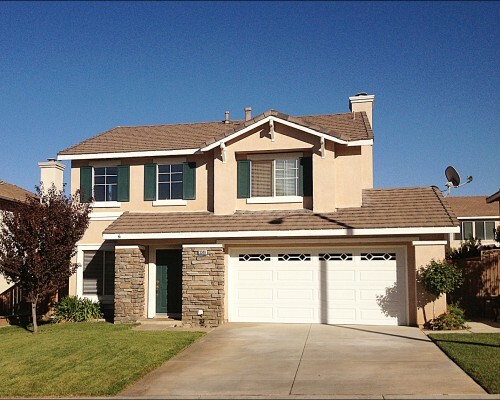 Did we mention that it is just a leisurely stroll to Camino Real Elementary, and a short walk to Patriot high school? So realize your dream, and grab hold of California Ridge before someone gets here first. 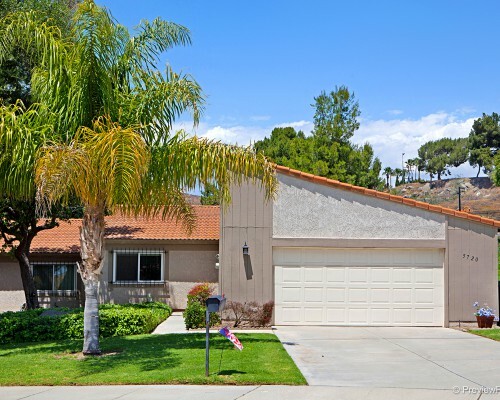 Here is your chance to own in the highly sought-after (but rarely available) DeAnza Verde neighborhood, situated right in the heart Indian Hills. This private, end-unit has been updated throughout. Contemporary porcelain tile flooring and newer dual-paned windows take advantage of the wonderful natural lighting, and gracefully highlight the open concept floor plan. The bright and airy kitchen has been tastefully refined with custom cabinetry and counter tops, and looks out on the atrium entryway – brewing your morning coffee has never felt so refreshing! Down the hallway, two sizable secondary guest rooms and a spacious master suite, with updated en-suite bathroom, await. Out back, a close-to-maintenance-free patio opens up to a manicured green belt – perfect for strolls with Fido, a game of catch with the little ones or just a little slice of peace and quiet for you to enjoy – but hurry …. this won’t last long! Looking for: A home of my own, with very specific features. Must have designer touches- A great kitchen where my friends can gather and hang out, a killer entertainment area, with a spot for my flat screen- in fact, I’d like it to INCLUDE a flatscreen, in-home laundry, and a zero maintenance yard (I don’t want to spend my time off mowing!) A community pool would be fun in the summer- poolside margaritas anyone?! Walking distance to Kaiser Permanente and The Tyler Galleria, would be awesome! But wait! I don’t want to spend my ENTIRE paycheck on my mortgage payment- keep the price at around $250k, so my payment is comfortable. Sound like EVERYTHING you’ve been hoping for?? Swipe right, you just found your dream home! Call or text 951.534.9296 for more info, or to see it in person. Here’s a home to get excited about! Manicured hedges and a sizeable corner lot greet you on approach, and the tranquil sounds of a waterfall welcome you, as you walk through the front gate and over the impressive koi pond, to the front door. Inside, the floor plan is bright and open. Natural lighting dances through the picture window and elegantly highlights the designer touches throughout. A tiled fireplace in the living room, almost instantly sets the mood for good wine and cozy conversations with close friends. The airy kitchen and adjoining dining/family room is the perfect place to show off your culinary skills – with or without an audience. Either way, you are set up for success – with ample counter space, and room to operate. Feel like hosting a larger crowd? No problem – the over-sized bonus room, just off of the dining room is ideal! Spacious bedrooms are on the opposite end of the house. Bathrooms have been tastefully updated, designer paint schemes have been applied – the overall feel is resort-like. The back yard is low maintenance and fun – with a large covered patio and secondary covered BBQ area. Did we mention the storage shed? Hurry and make this one “home” before someone else beats you to it! Cowboy Up in this Indian Hills Ranch Home! Built with the equestrian in mind, the over-sized, corner lot has been optimized for horses! Extra-wide, separate trailer access makes ride outs/returns, pick-ups and drop offs, super convenient. The LARGE mare motel offers shelter and there is still plenty of room for exercise! The country charm extends right through to the house – with a few extras that everyone is hoping for. Hardwood and ceramic tile flooring greet you at the door, while granite counter tops and dual paned windows and sliders flow throughout. The formal living room is perfect for entertaining, and the separate, cozy family room is a wonderful spot to stoke up a fire and recall the day’s adventures on the trail. The secondary rooms are sizable, and the spacious master suite even has a walk-in closet and vanity! The 3-car garage is wonderful … but add on gated RV/boat parking AND a covered car port, and it becomes a dream come true! Hurry – before someone else rides off, into the sunset. The climb to the top is never easy. For every step forward, there seems to be an obstacle that takes you three steps back– but you press on, as you always have. Reaching the summit, you take in your surroundings and reflect on your journey– Victory. Revel in the fact that you have accomplished what few others have, or ever will. This custom-built estate is a nod to those who never fold, and is impressive from every angle – as it should be. Sprawling, manicured grounds, amazing attention to detail, tasteful application of the finest materials. A dramatic sealed brick entryway opens to high, vaulted ceilings and a spacious living room – beautifully setting the stage for entertainment, on a grand scale. Lead your guests through the French doors, and have a cocktail on one, of several, covered patios and expertly landscaped lawns; or follow the long, built-in wine bar and see what culinary delights are being prepared in the airy Chef’s kitchen. Brilliant slab granite counters and island, coffered ceilings and custom cabinets all make an appearance, while one of the home’s three fireplaces sets the mood. An expansive master suite, complete with retreat and private fireplace, awaits you, upstairs – the perfect spot to unwind after an incredible, or incredibly busy, day. Additional guest rooms are sizeable, and occupy the opposite wing. For those who habitually bring their work home with them, a quiet and private office is very convenient. The merge between indoors and outdoors is elegant, and the secluded layout, skillfully planned. A stunning saltwater pool and spa, beckons you to come out and play, day and night, and the expansive outdoor kitchen turns even the most casual of backyard excursions into an event. As the sun sets, you realize that the view from the summit is spectacular, and well worth the journey. 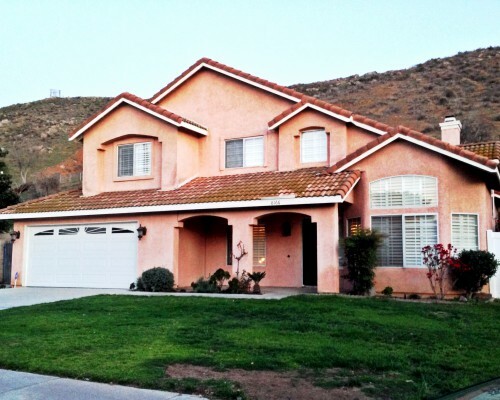 Here is an example of Jurupa Hills living, at its best! Follow the stone pathway to the glass-paneled front door and step inside. Charming right from the start, tasteful updates welcome you at the door, and are an impressive theme, throughout. This single-story floor plan is bright and open – beautifully enhanced with dual paned windows and sliders, which let in just the perfect amount of natural lighting. The upgraded wood laminate flooring pairs wonderfully with the re-textured walls and ceilings (no “popcorn” here), and the remodeled kitchen, with airy layout, seamless flow to the family room (so no one ever feels left out), gorgeous granite counter tops and stainless steel appliances will make you want to host every possible get-together from now on! Feel like getting formal? The long formal dining room will accommodate the whole gang and then some – so go on, invite them! The guest rooms are spacious and the substantial master suite has a vanity, walk-in closet and direct access to the back yard! Speaking of the back yard – it has been enhanced for entertaining. Beautifully landscaped, separate above-ground pool and spa, at the ready; solid, over-sized aluma-wood patio cover … did we mention no neighbors behind you! It’s not too good to be true – but you will have to hurry! 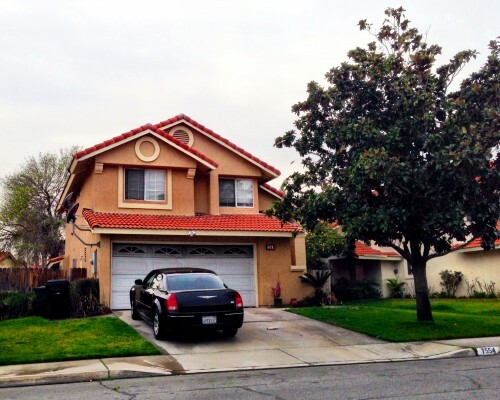 The De Anza Verde Tract, in Indian Hills, has been highly coveted since its inception. Here is your chance to own the most sought-after floor-plan, ever built. The atrium entryway sets a sophisticated tone, right from the start. Inside, the elegant, open-concept design is highlighted by premium flooring and designer paint. Go ahead, show it off – that is what it was designed for! Whether entertaining a small or more size-able crowd, this floor-plan will shine. The greenbelt location is just icing on the cake! The refined kitchen has plenty of cabinets , and the ample counter space will make prepping easy! Opposite the entertaining side, you will find a spacious master suite, with en suite bath and two large guest rooms. Did I mention the indoor laundry room and 3rd car/RV/boat garage? Hurry and grab hold of this Indian Hills jewel – before someone else discovers it first. This highly sought-after floor plan, situated in Canterbury at Indian Hills, is just the ticket! From the vaulted ceilings, to the wood laminate flooring; the dark, granite counter tops to the upgraded cabinets – coming home never felt so good! Impromptu guests – no problem! The spacious living room can handle the whole gang, and comes complete with an over-sized entertainment niche! Movie night, Monday Night Football, karaoke…everyone has the best seat in the house! Dazzle your guests with your culinary skills…Don’t have them yet? With a kitchen like this, you will! Double ovens, walk-in pantry, breakfast bar…you get the picture. A rare 4 bedroom is what everyone hopes for, with this floor-plan – and you’ve got it, right here! Upstairs, a true Master Suite awaits…Bright and open, complete with en-suite bathroom, tub, separate rain glass shower … and immense walk-in closet. The ultra-low maintenance yard is perfect for the water conscious or those lacking a green thumb. Come and grab your piece of Indian Hills, before someone else does. Stroll along the front walkway, past the impeccable collection of succulents & cacti, & make your way to the front door. Vaulted ceilings elegantly frame built-in bookcases & wine racks. A tastefully updated kitchen beautifully incorporates gorgeous designer touches, such as garnet-speckled granite counter-tops & French doors. A spacious master suite on the second level, offers the utmost comfort & comes complete with an over-sized walk-in closet (with dressing area), enormous soaking tub & private balcony! Tranquility reigns over the back yard, with rare plants, pebble trails, hummingbirds fluttering by…grab hold of calm & share it with those you love. 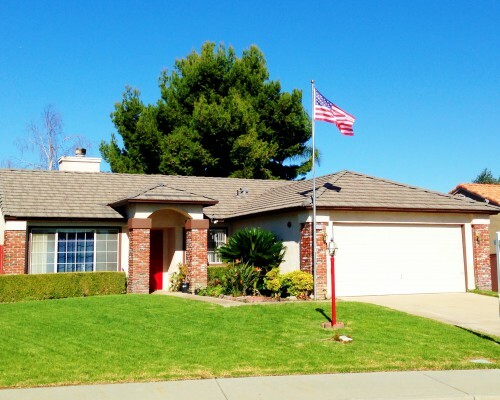 This charming Las Colinas one story home has it all! Nestled at the end of a quiet cul-de-sac, with a lush, green yard, the tone is set before you step through the door. The family room, with vaulted ceiling and gorgeous, distressed brick fireplace makes you feel welcome the moment you walk in. The kitchen, with cozy eat in dining area, and cupboards + storage to spare makes weekend pancake breakfasts easy and fun. Head down the hall, past two well-sized bedrooms (perfect for a den, library or guests) and you’ll enter your private master suite – complete with dual sinks, which make getting ready in the morning a snap! An indoor laundry room is a convenient touch, and a two car garage gives you all the storage space you need. The backyard, with an expansive covered patio, above ground spa, and built in ceiling fans is where everyone will want to be for the weekend BBQ! Don’t forget about the large grassy yard – which gives everyone plenty of room to play in the sun. Hurry! This beauty won’t last long! 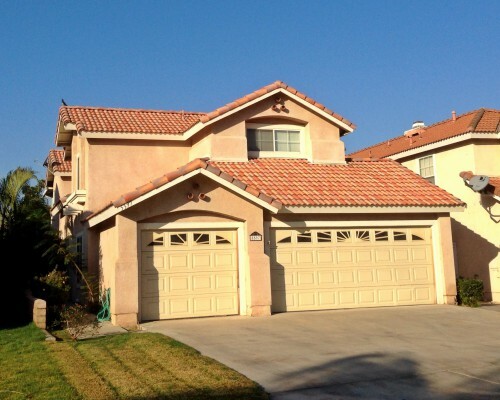 This large Jurupa Hills home has everything you’ve been searching for, and then some! 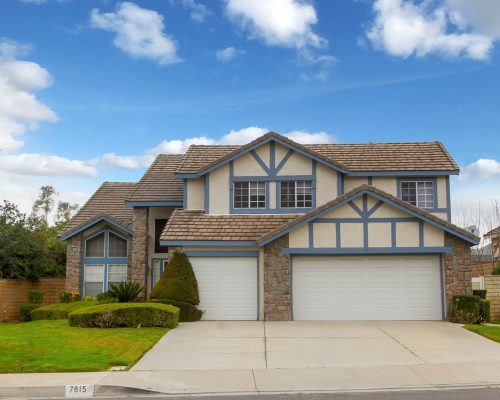 Spacious and open with five bedrooms and three full bathrooms, you have ample room for all that you need. It even has two bedrooms and a full bathroom downstairs! With a roomy eat-in kitchen, which opens to the family room, no one feels left out- even when you&#39;ve got the whole gang over. There’s also an elegant formal dining room, for more intimate gatherings. A beautiful living room, complete with stone fireplace, can make a luxurious cozy spot to wind down the day. The picture windows on either side of the fireplace make watching the day fade away, fireside, an extra special treat! Don’t forget about the location! 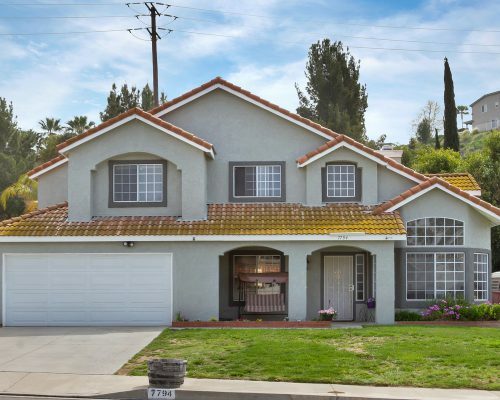 The full-length balcony is a great place to take in the stunning view of the Jurupa Hills Golf Course – because this home backs up to the 13th green! Morning coffee on the private balcony, off the master suite, overlooking the golf course sounds too good to be true… but it isn&#39;t. There’s even a loft above the garage – great for an office, gym, art studio- you decide! A quiet cul-de-sac and a coveted, gated community make the perfect backdrop for this amazing home. Situated within The Greens At Indian Hills, this rare, first-phase build greets you at the door with real hardwood floors, vaulted ceilings and tons of natural lighting. A downstairs bedroom and FULL bathroom are always a plus –so is the indoor laundry room! The bright and airy kitchen has lots of cabinets and counter space, and opens to a spacious family room. Upstairs are two sizable guest rooms, as well as the roomy master suite – complete with sitting area, walk-in closet and balcony! 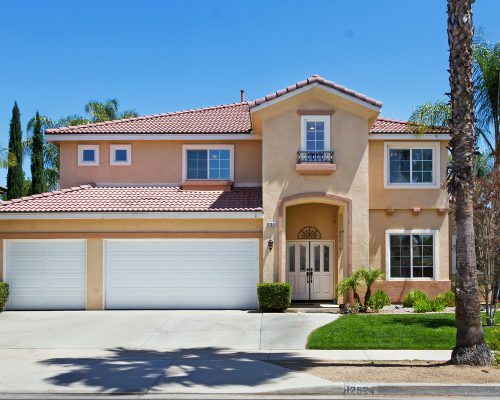 Add all of this to an over-sized three-car garage (with a deep driveway to accommodate guests) super-low maintenance yard and gated community exclusivity &amp; it is easy to see why everyone will want to make this great house on Green Crest Court, their new home. Hurry – before someone else beats you to it! 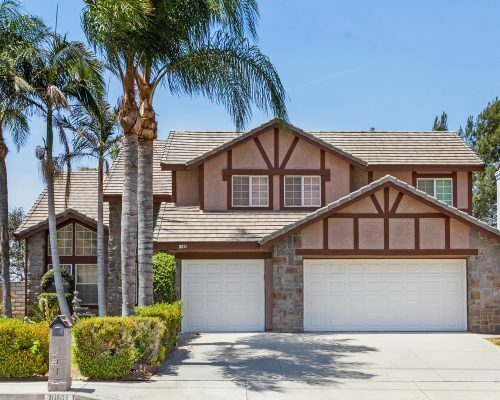 Situated in the prestigious community of Indian Hills, this rarely available & highly sought-after floor plan has everything that you have been searching for… and then some! High, vaulted ceilings and wide hallways, give it a custom feel right from the start. There’s a grand, formal living room, for entertaining, and spacious, separate family room – complete with cozy fireplace & built-in shelving – for more intimate gatherings. The family room is just off of the bright & open kitchen. 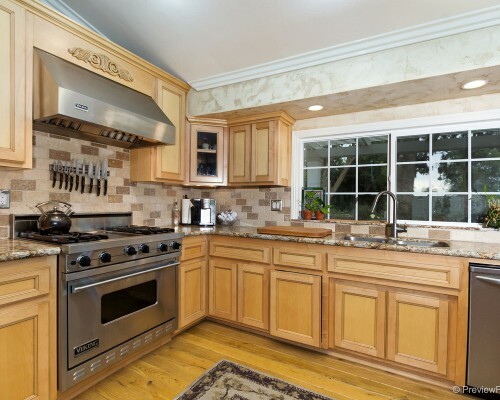 Lots of quality granite counter space, cabinets… even a huge chef’s island with breakfast bar! Don’t forget about the downstairs guest bedroom & full bathroom! Head upstairs to the over-sized loft – perfect for a media area, home theater or game room. The master suite takes the cake, though… with en-suite bathroom, dual sinks & vanity, separate tub and shower, dual closets… and an adjoining, bedroom sized retreat! The three car garage, spa and manicured yard are just gravy. So go on, show everyone that you have arrived, with this incredible home. 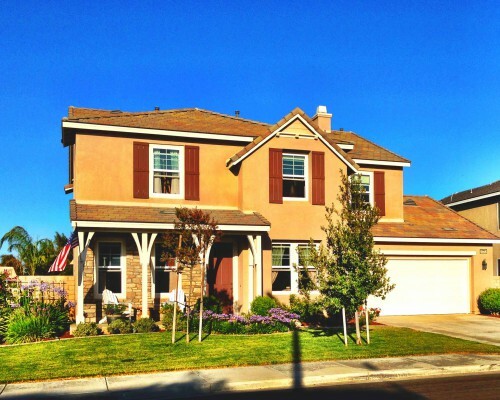 This beautiful Indian Hills home has everything you’ve been looking for!! The sweeping living room with cozy fireplace greets you upon entry- what a perfect spot for an intimate gathering or a formal affair! The kitchen is beautiful, with all the modern upgrades you would hope for. Granite counter-tops, custom cabinets, and newer stainless steel appliances make it easy and fun to whip up a quick weeknight dinner, or a mile high stack of pancakes for the gang on Sunday morning. The eat in kitchen makes cleaning up afterwards a snap too. Bathrooms have been elegantly renovated, and feel bright and luxurious. A large bonus room leads you through sweeping glass doors to the spacious, enclosed patio. Out back there is plenty of room to roam. A flat, usable ½ acre can fit anything you might think of- vegetable garden, horse corrals, guest house… maybe all three! 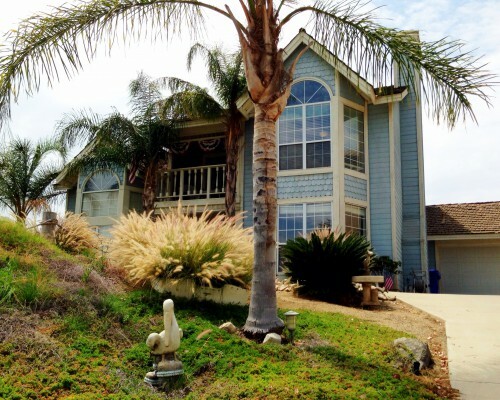 This showstopper will not last long- Call today to make this lovely house, your home. This exclusive listing is not yet on the Multiple Listing Service, and is only available to our clients at this time. We haven’t even taken all the photos yet! What does that mean for you? If you are interested, you can get in to see it, and write an offer if you love it, BEFORE anyone else does. Sound like something you may be interested in? Give us a call, or shoot us a text at (951) 534-9296. We would be happy to get you the info on this home FIRST! Run… Don’t walk!! 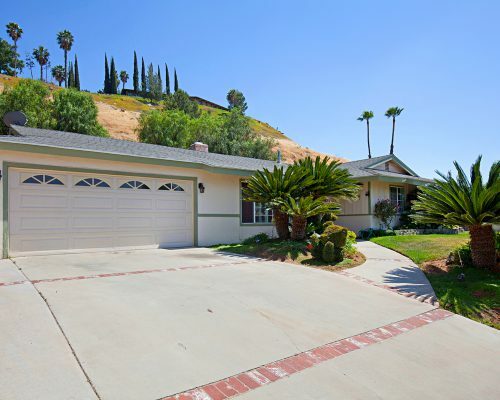 To this rarely available & highly sought-after floor plan, within the California Ridge Neighborhood of Indian Hills. Tasteful upgrades complement the home’s key features right from the start. Lots of windows, with custom-fitted plantation shutters draw in the natural light, highlighting the open airy design. Vaulted ceilings make the formal living room and over-sized family room feel even more spacious than they already are. The remodeled kitchen, complete with quality granite counter tops, backsplash and chef’s island opens to the family room – making entertaining a snap & ensuring that everyone feels included in the festivities. Head upstairs to find the master suite (with en suite bathroom, separate tub and shower, cedar-lined walk-in closet & private balcony), two sizeable guest bedrooms and a substantial loft – perfect for a home office, media room or perhaps another future bedroom! Moving to the exterior – an end of the cul-de-sac location means minimal traffic. No neighbors behind you, either! Have an RV, boat or other recreational vehicles? You will LOVE the gated RV parking! Don’t forget the above ground spa! Hurry! Hurry! Before someone else grabs it first! 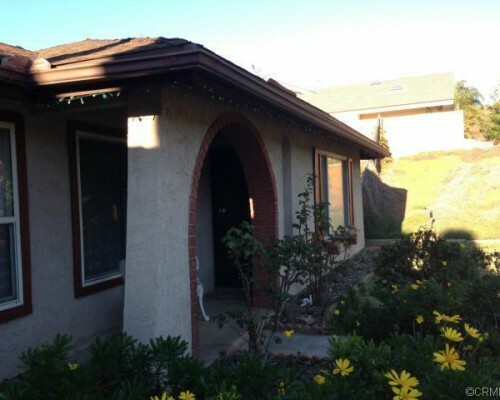 This charming 3 bedroom, 2 bathroom Indian Hills home had a great layout and lots of charm!! An open single story make the house feel spacious and well laid out. The kitchen, complete with lots of counter space looks out onto the front yard, and has sweeping views of the neighborhood below. Formal dining, a living room with beautiful brick fireplace, and family room gives you lots of options for entertaining, or lounging around. Snap up this Indian Hills beauty, before it’s too late! 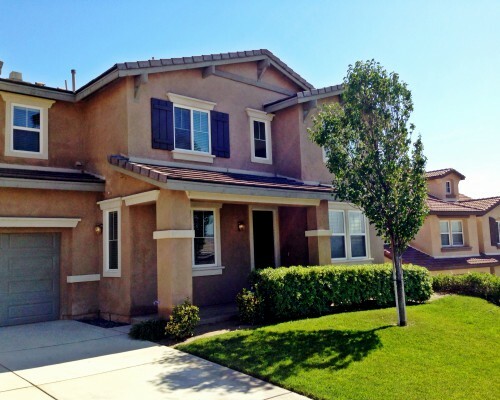 Here’s your chance to make Rancho Fontana your new home! Situated on a quiet street, with everything you’ve been searching for. Open and airy floor plan, complete with vaulted ceilings. Formal living room with cozy fireplace. Bright & open kitchen with lots of cabinets & tons of counter space. Spacious master suite & much more! 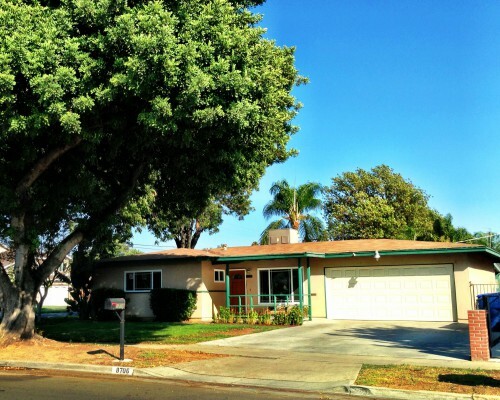 Centrally located & minutes away from schools, shopping, parks & freeways! Hurry before someone else gets here first! 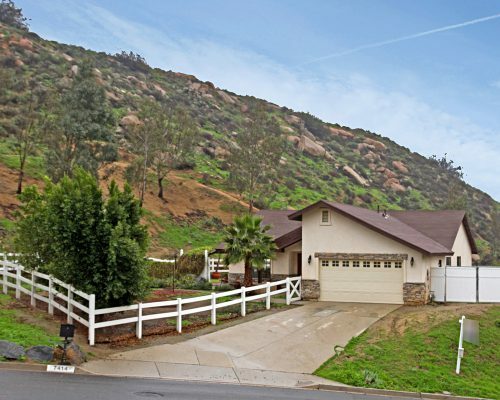 Perched atop one of the peaks, in Indian Hills, this rare, hill-top home is just the ticket! A dramatic brick entry, courtyard & breathtaking view make a lasting impression, right from the start. Continue on, through the red double doors & into the open & airy parlor. Formal living & dining rooms are to your right, complete with extra-large windows, giving you the best of both worlds – great natural lighting during the day & a city lights view at night. The kitchen is spacious. with lots of cabinets, gorgeous granite counter tops & a garden window, overlooking the majestic hillside. The family room has a cozy brick fireplace, parquet floors & it’s adjacent to the kitchen – so no one feels left out. Upstairs, designer touches abound. Built-in desk, glass door cabinets & bookcases adorn the bedrooms. The master suite has a roomy walk-in closet, dual-sink master bathroom & a private balcony -perfect for morning coffee & gorgeous sunsets. The yard is impressive – with a climbing rock & flower garden & a freestanding workshop/game room- perfect for getting a little work … or a little relaxing in. Those who enjoy being green or keeping their utility payments to a minimum will LOVE the solar panels! Oh, and don’t forget about the above-ground pool! 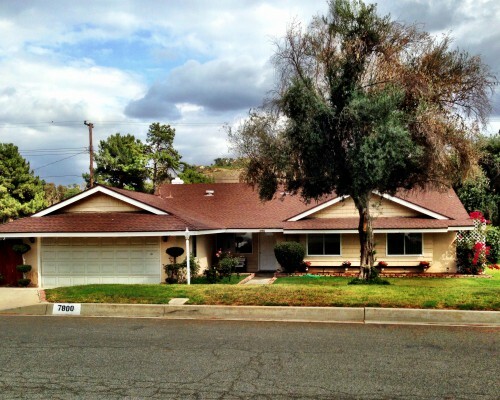 This spacious home sits in one of the newer tracts, in Indian Hills. What a great floor plan! One of the few 6 bedrooms, but with a little twist….It has dual master suites! There is a large kitchen, with chef’s island, that opens to the family room. 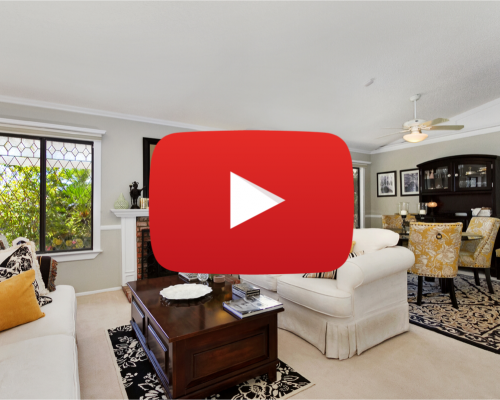 Formal living room and separate dining room –ideal for entertaining! Even your guests will feel right at home, with the private, downstairs bedroom and full bathroom! 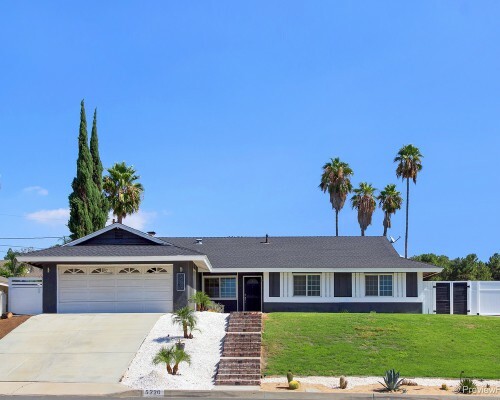 Take full advantage of the wonderful, Southern California climate all year round with the roomy ¼ acre corner lot – complete with a sparkling, over-sized pool, spa & built-in BBQ. Don’t forget about the 3-car garage! Walking distance to Patriot High School and The Cove Aquatic Center. 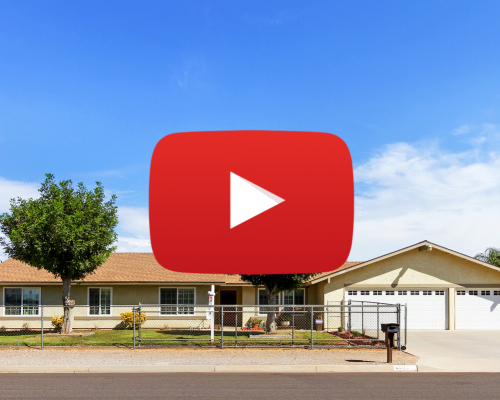 Hurry – before someone else grabs the biggest house on the block! Situated on a quiet, little street, and walking distance to movie theaters, cafes and shopping, it won’t be long before you’re enjoying everything that Indian Hills has to offer! You and your friends, alike, will love the open and inviting floor plan – complete with great natural lighting and vaulted ceilings in all the right places. The over-sized living room makes entertaining a snap, while the quaint kitchen opens to the cozy family room – making it easy for friends and family to gather around. There is master suite with a vanity, and dressing area. Even an over-sized yard – perfect for BBQs, bikes, gardens, get-togethers …maybe a pool??? It’s your call – unless someone else gets there first! Does lack of inventory have you down? 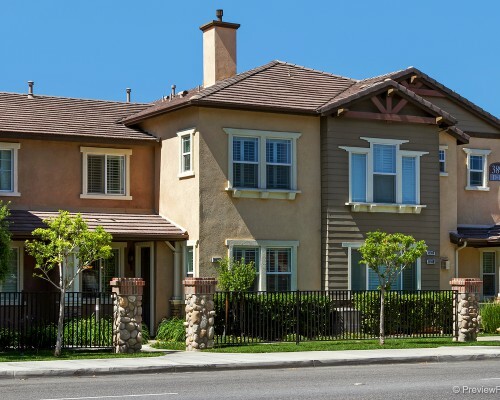 Have you been searching for an established neighborhood, with tree-lined streets? How about a desirable corner lot? Well, that is just the beginning! This gorgeous Riverside home has been tastefully updated and upgraded, to give you the perfect combination of classic Riverside charm and contemporary style and function. The floor plan is great, with bedrooms on one side, and entertainment on the other. A comfy family room easily becomes the perfect backdrop for a friendly game of Scrabble, a rip-roaring Super Bowl Sunday or a quiet night at home with a good book and a glass of wine. The remodeled kitchen will have you cooking in style, in no time at all! Easy to do, when you have quality granite counters and breakfast bar, new cabinets and appliances … don’t forget the walk-in pantry! The Master Suite is on its own, with wall-length mirrored closets and a renovated bathroom. Even the original windows have been replaced with new, crystal-clear dual-panes, which keep the home energy efficient. But wait…there’s more! The spacious back yard has a sparkling pool and spa – great for lounging or an impromptu game of Marco Polo. Hurry! Hurry! Before someone else acts now! Make your grand entrance, to the highly sought after Sagemore Community, with this spectacular home! Picture-perfect from the moment you pull up to the driveway…but don’t stop there! Follow the pathway to the front door, wave to your neighbors from the tranquil porch and head inside. As you enter, you will notice an open and airy floor plan, with vaulted ceilings and lots of natural light. Just past the entry is a formal living room and regal dining room – perfect for hosting an important affair or simply entertaining old friends. Stroll further down the hallway, and you will find yourself in a gourmet chef’s kitchen – fully equipped with pantry, high-end appliances, exquisite granite countertops and island! Ever thought of hosting your own version of Iron Chef? This would be a great location – especially since the audience could watch from the spacious family room! A warm fireplace sets the ambiance – the rest is up to you. Beyond the family room is the study. Feel free to catch up on some reading, or get creative – this space would make a fantastic gym or even a downstairs bedroom. The winding staircase leads to the bedrooms and the magnificent master suite. Dual walk-in closets, Separate tub and shower a view of friends and family in the back yard, below – what a fantastic way to begin and end the day. Welcome to Sagemore – you’re going to love it, here! Looking for a great little spot AND some “elbow room”- Well, try this one on for size! 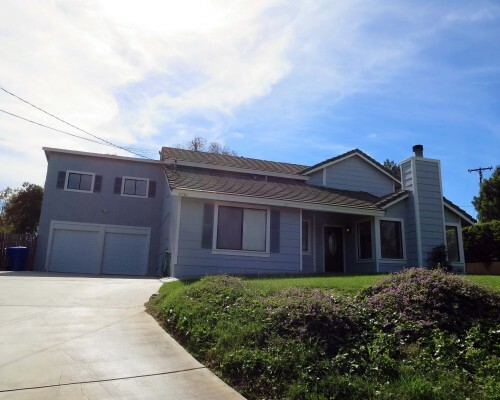 This adorable home sits on a quiet, hillside street, right in the heart of in Indian Hills. Head up the walkway, toward the front door. The covered courtyard is perfect for a bistro table, or some comfy Adirondack chairs. Once inside, you are greeted by an open floor plan, with brand new carpeting and a fresh coat of paint. The cozy kitchen is very functional, with lots of counters, new appliances and a dine in area, keeping everyone close to where the action happens – it also opens up the family room, which is fully equipped with a brick fireplace! What a perfect setting for a movie night with a group of friends or a special someone. Head out back, and take full advantage of the 1/2 acre of space around you. Bring your BBQ, bikes, toys, hot rods (there is a 2 car garage, so you will actually have a place to keep it), you name it! There’s room for horses too if you like – Yes, horses are welcome! And at the end of the day, pull up a couple of chairs and watch the sunset, from your own back yard. There truly is no place quite like home. This custom built home is perched at the top of the world, with breathtaking golf course, mountain, and city lights views. 4 bedrooms and 3 full baths means you have plenty of space, and lots of windows means the home is bathed in natural light all day long. A spacious 2 car garage, with a separate shed gives you room for storage and the large 1/2 acre lot provides space to play, and privacy. Call today before this amazing opportunity is gone! 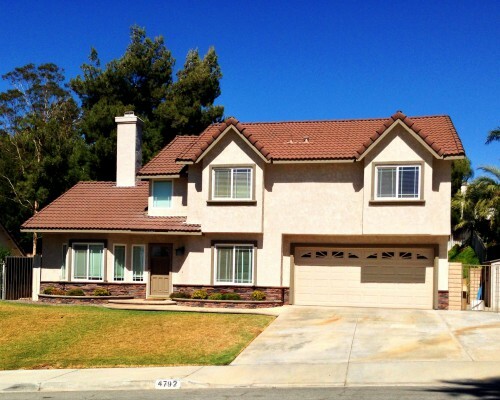 1216 Crete Ct. Riverside, CA 92506. Our client has a beautiful new place to call “home”! Are you looking for your dream home? Call us- We’d love to help!! Talk about Indian Hills history! This gorgeous home is one of the first ones built! Its classic charm & quality craftsmanship brings some character into the present day. It doesn’t hurt that the owners have updated it along the way, either. From its elevated position on a cul-de-sac, you are able to survey your domain, along with the breath-taking sunsets. Inside, tasteful upgrades abound. The first you’ll notice is the retextured walls & ceilings – no “popcorn” here! Head into the bright and open kitchen, complete with granite counter tops, newer cabinets & appliances. Your friends & family will love the cozy family room; open to the kitchen & complete with a brick fireplace & a bay window. The formal living room & dining room can be combined to make a spacious great room or you can keep it traditional. Bathrooms have been updated, as well, with new cabinets, sinks & fixtures. The master suite is roomy, with a walk-in closet & separate vanity. It also has direct access to the back yard. There’s adequate room to entertain under the full-length aluminum patio cover & beyond. The park-like landscape will make you very popular on BBQ day & it backs up to the Indian Hills Golf Course. So go on- grab your clubs & maybe a little piece of Indian Hills history! Tired of “ordinary”? We definitely have the cure for that! This splendid Indian Hills home has an incredible array of features, that you just don’t see everyday! Let’s start with its location (location, location) – tucked into a quiet cul-de-sac, right in the heart of Indian Hills. Let’s move on to the actual home – newer, dual pane windows, an updated kitchen with Corian counter tops and lots of cabinets. The spacious living room is perfect for game night, and is completely equipped with a cozy brick fireplace. There is even a three-car garage! Now here is where it gets exciting! 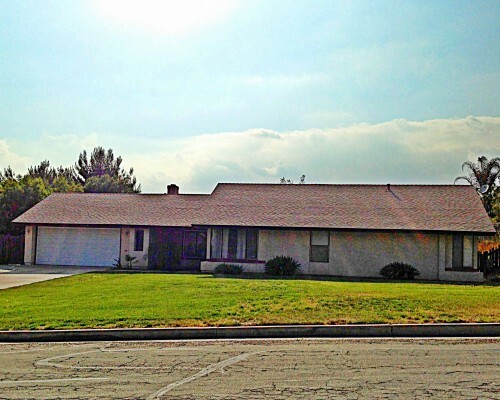 The lot is a roomy 1/2 acre, which is gated and has RV Access. 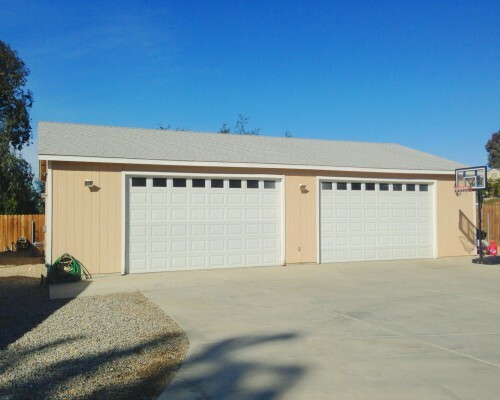 There is also a 1500 SqFt garage/workshop with over-sized doors – which can effortlessly fit 6 cars. With the 3 car garage at the main house, that’s enclosed parking for 9 and additional driveway space! But wait, there’s more. The owners have also built a 1 bedroom, 1 bathroom guest house. It has its own separate entry, laundry hookups, kitchenette and separate A/C system! 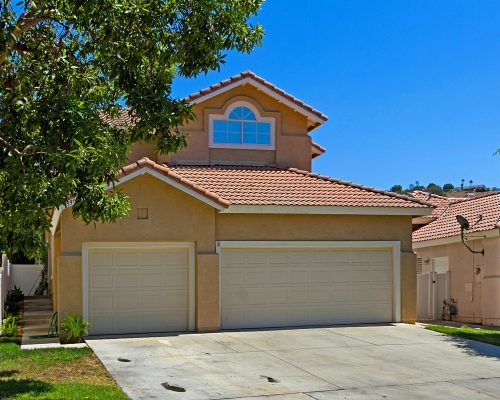 Hurry and grab this one, before you hear someone else talking about the amazing house they just bought in Indian Hills! Looking for something with a great view AND some “elbow room”- Well, try this one on for size! 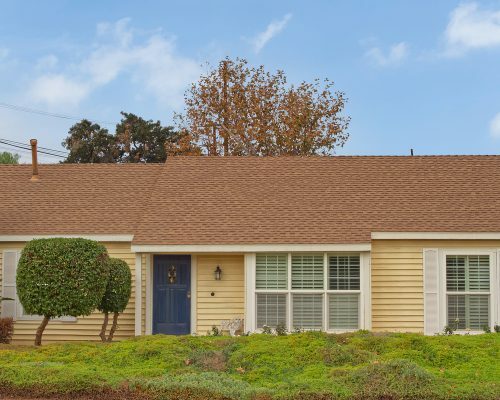 This adorable home sits on a quiet, hillside street, right in the heart of in Indian Hills. Head up the walkway, toward the front door. It’s easy to take a moment to stop and smell the roses, when there are bushes right out front! Once inside, you are greeted by an open floor plan, with newer carpeting and warm, wood laminate flooring. The cozy kitchen is very functional, with tile counters, backsplash and a breakfast bar – it also opens up the family room, which is fully equipped with a brick fireplace. What a perfect setting for a movie night with a group of friends or a special someone. Head out back, and take full advantage of the 1/2 acre of space around you. Bring your BBQ, bikes, toys, hot rods (there is a 3 car garage, so you will actually have a place to keep it), you name it! There’s even a horse corral at the far end – Yes, horses are welcome! And at the end of the day, pull up a couple of chairs and watch the sunset and the valley lights come on, from your own back yard. There truly is no place quite like home. Always dreaming of owning your very own beach house? 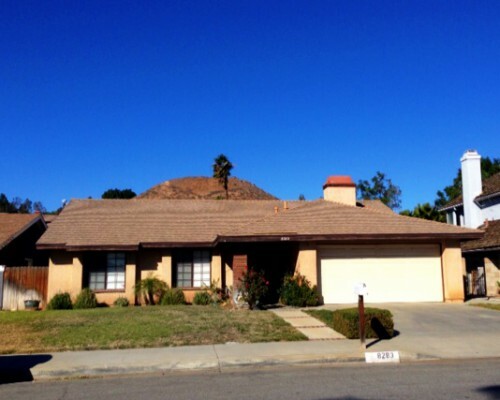 Well, here’s your chance…right here, in Indian Hills!!! This Cape Cod charmer will make you feel like you’re on vacation every day of the week! A dramatic entry, with winding staircase, is ready to impress right from the start. The over-sized game room is the perfect place to demonstrate the work hard, play hard motto, while the cozy living room is inviting -beckoning you and your guests to pull up a seat & stay awhile. The tastefully updated kitchen will effortlessly brighten your morning – but not nearly as much as the sunrise views from the master suite’s private balcony. So grab hold of this one & be the topic of conversation at the next clam bake! 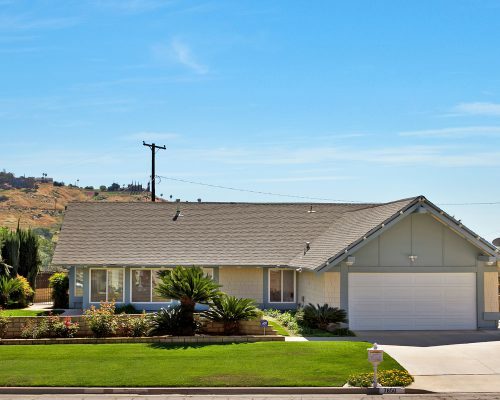 Have you been dreaming of living in Indian Hills’ highly sought-after California Ridge neighborhood? Well … here is your chance to do it with some style! The lush lawn, designer stacked stone accents and stamped concrete walkway are impressive, right from the start. 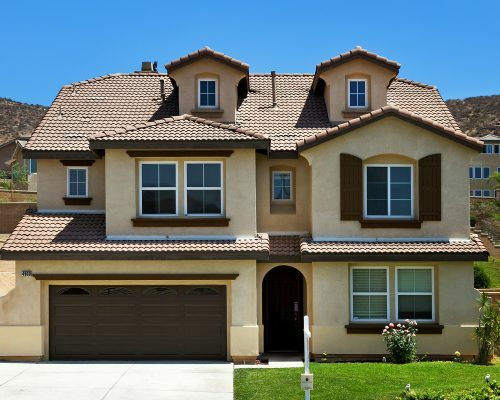 Head on inside and see why everyone wants this floor plan! You and your guests are greeted by a formal living room, with lots of windows & tons of natural lighting. Perfect for light entertaining. There’s even a pass-through fireplace, which also adorns the cozy family room. Tasteful updates & upgrades abound. The bright and airy kitchen has been enhanced with granite counters, stainless steel fixtures, recessed lighting, breakfast bar and direct access to the formal dining room! The back yard is an entertainer’s dream! The covered patio and gorgeous landscaping frame the sparkling California Pool & Spa perfectly. Bring your BBQ & you’re good to go…but hurry before someone else dives in first! Start spreading the news . .. this little Mountain Gate number on New York is HOT! Stroll up the walkway, through the front door and into the formal living room – where you are instantly greeted by high, vaulted ceilings and an air of sophistication. Head past the stairs and into the spacious kitchen. Lots of cabinets, counter space, even a chef’s island . .. and it opens up to the cozy family room, complete with fireplace. What a perfect setting for a cocktail party, or a night in. The back yard is spectacular! Stamped concrete, custom pool with waterfalls, rock accents and room to enjoy all of it. All bedrooms are upstairs. The roomy master bedroom is complemented by a en-suite bathroom, with a soaking tub (built for two), a separate shower and deep walk-in closet. So go on, make a brand new start of it . .. on New York!